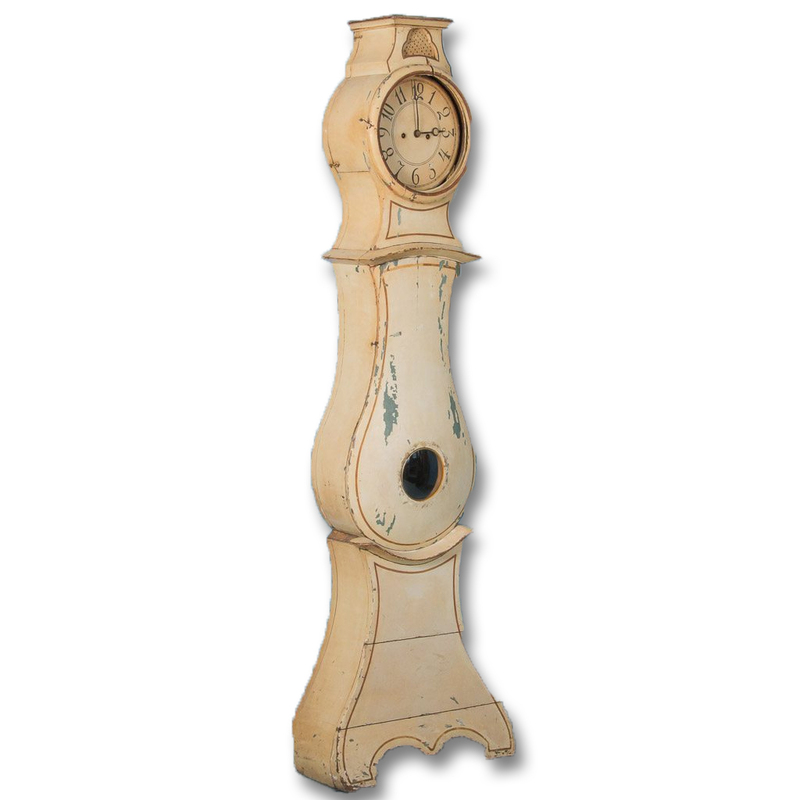 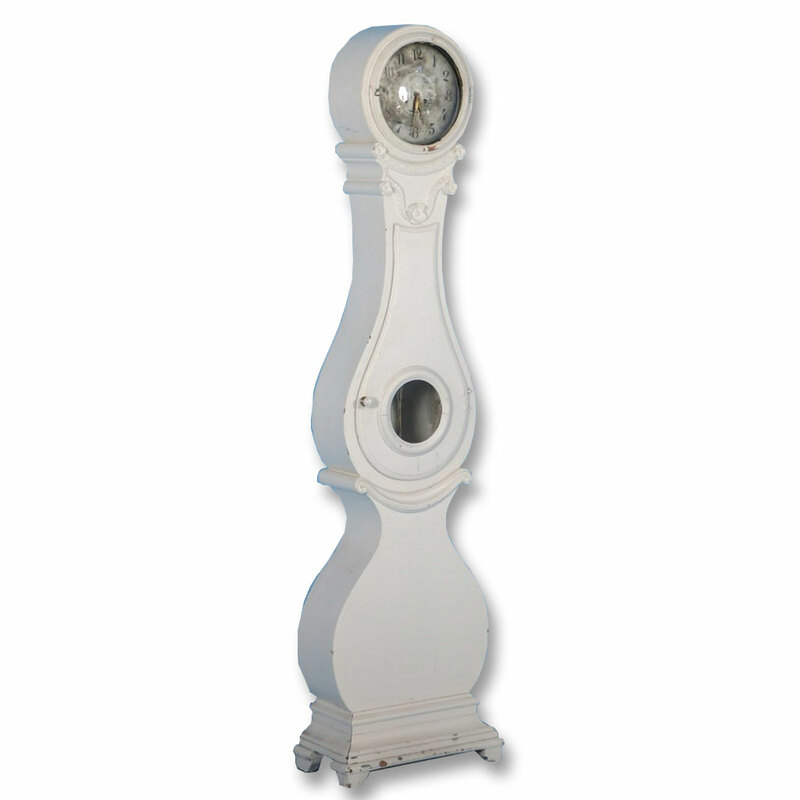 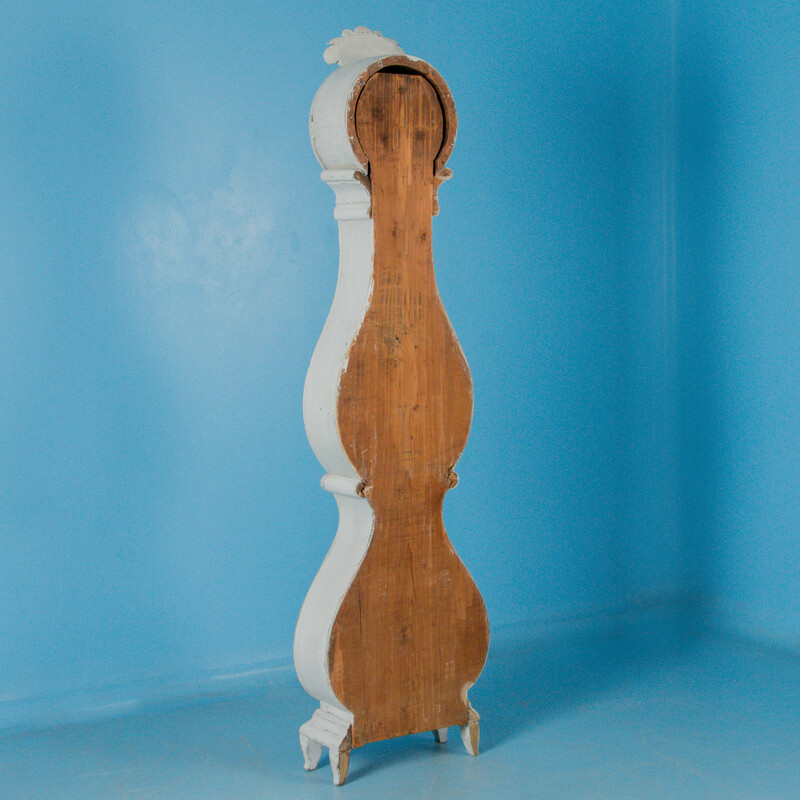 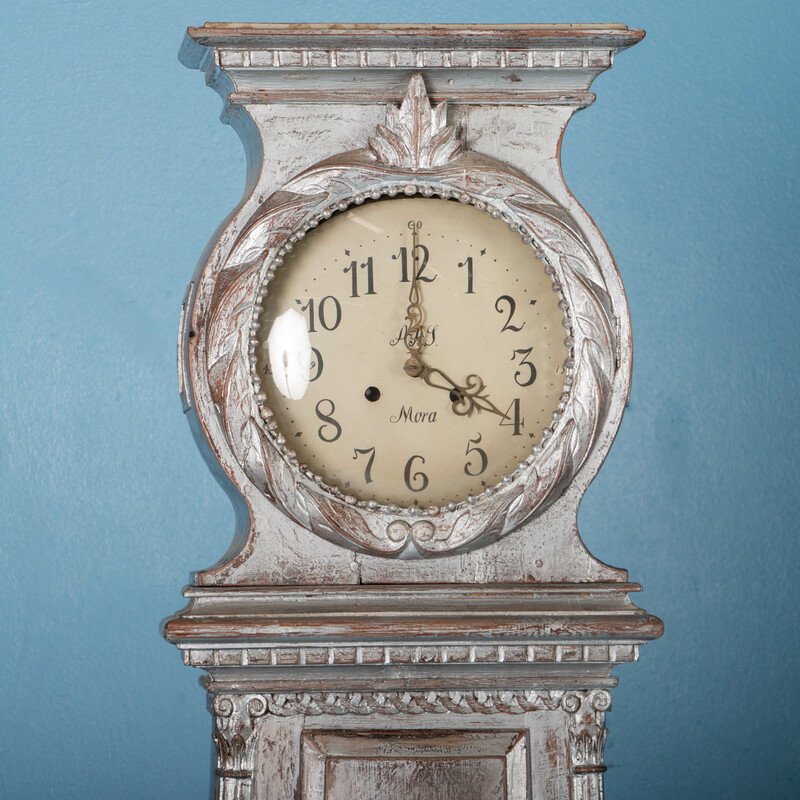 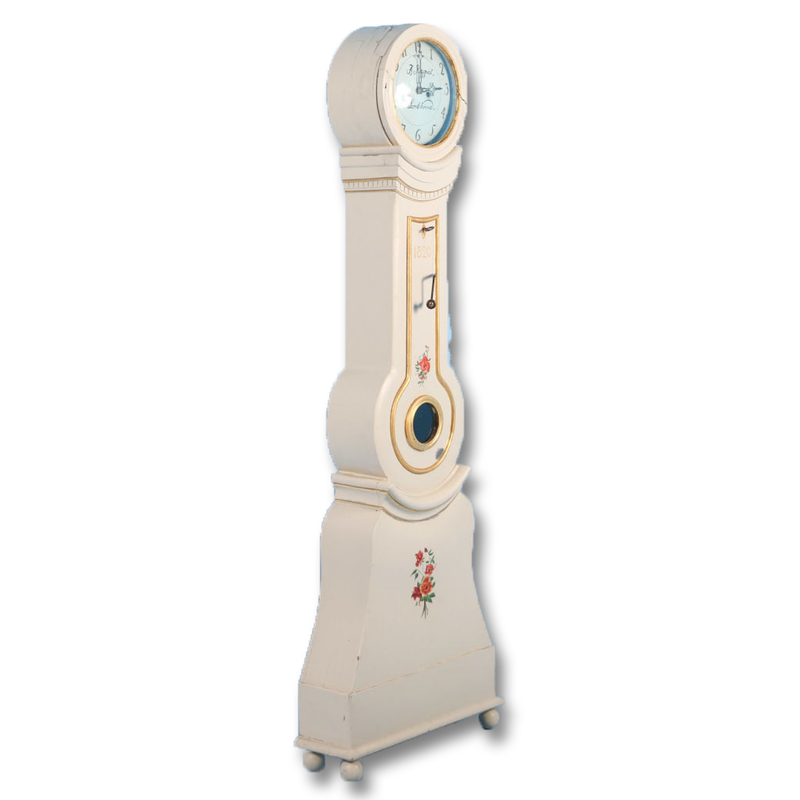 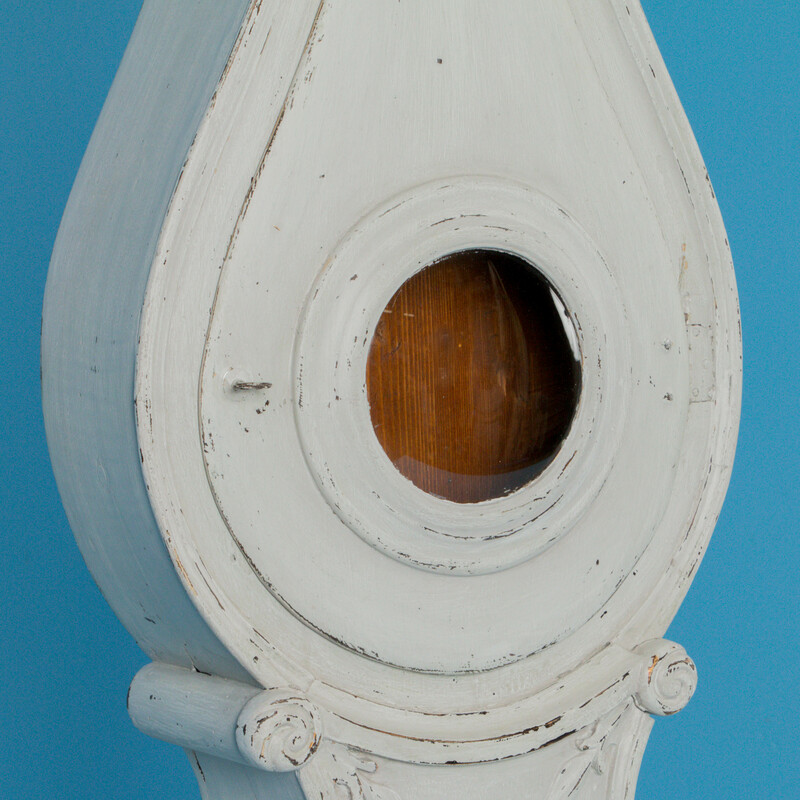 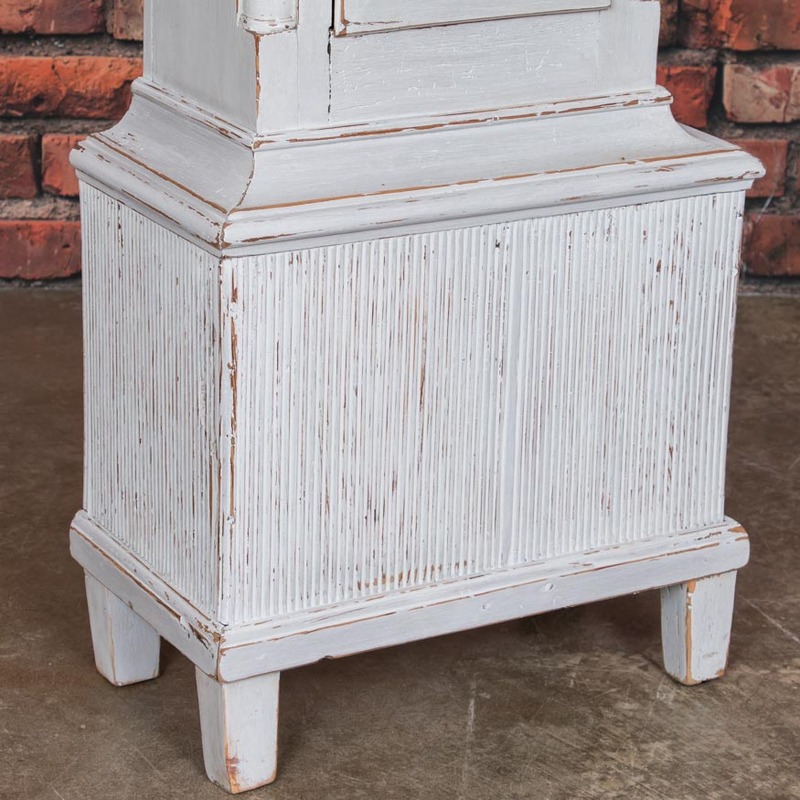 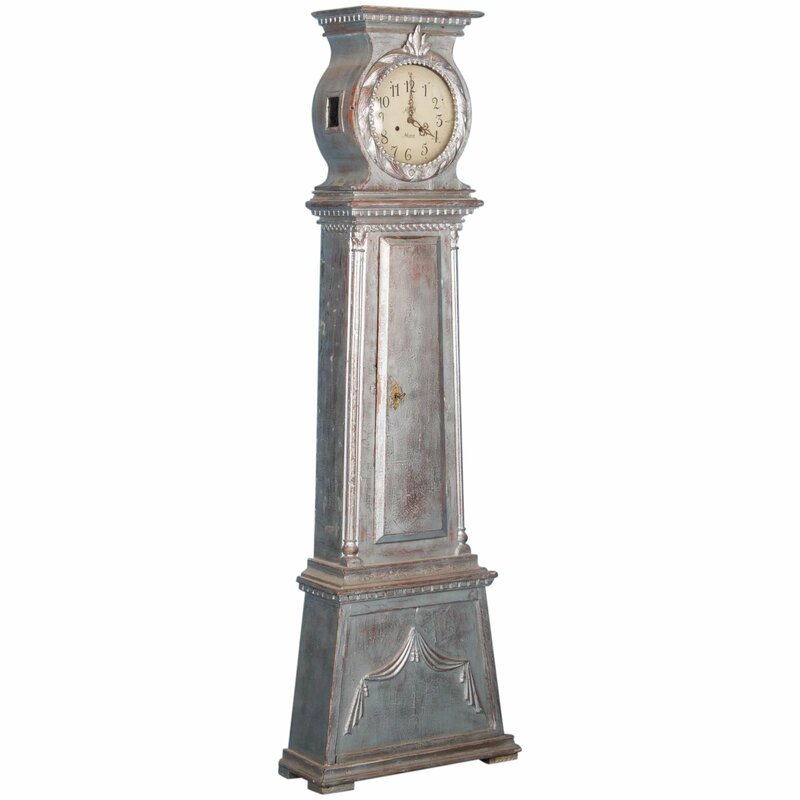 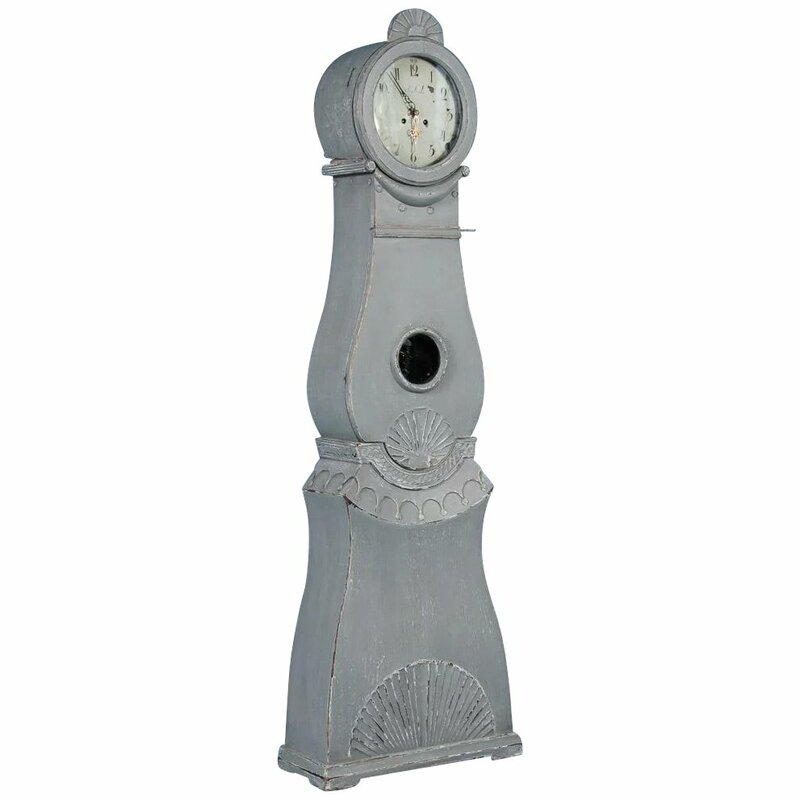 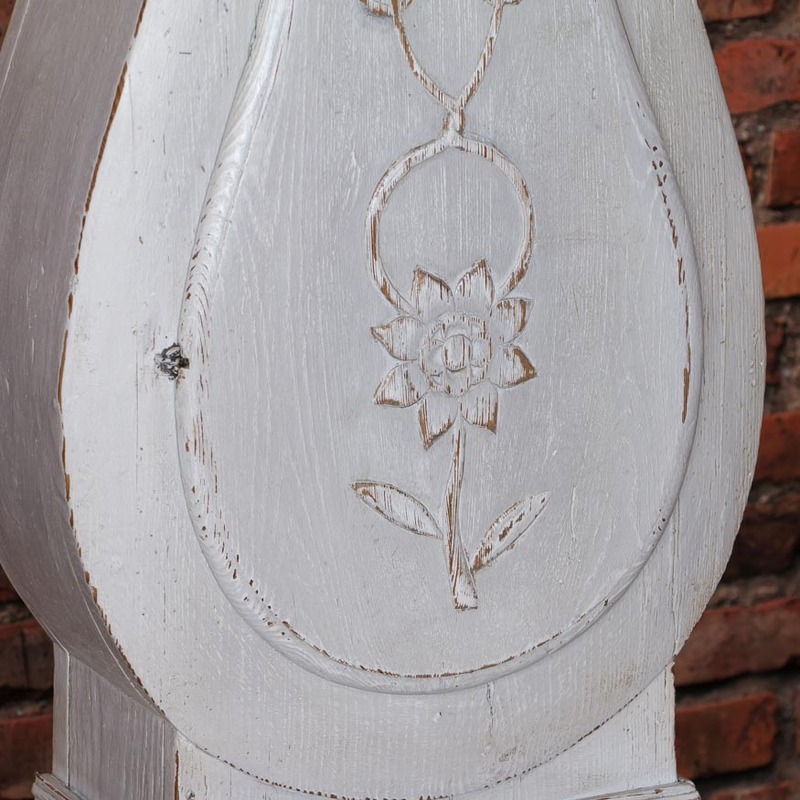 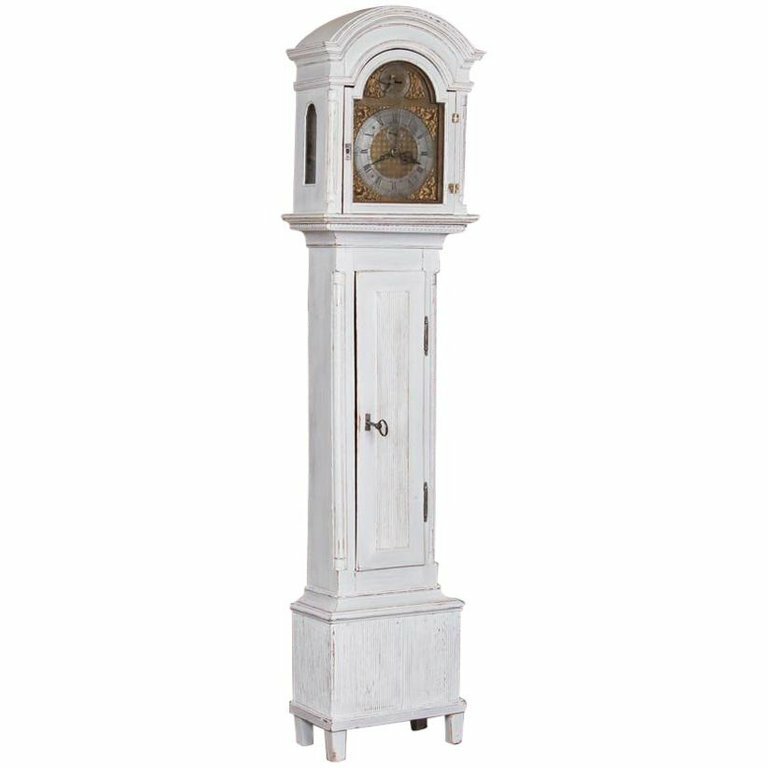 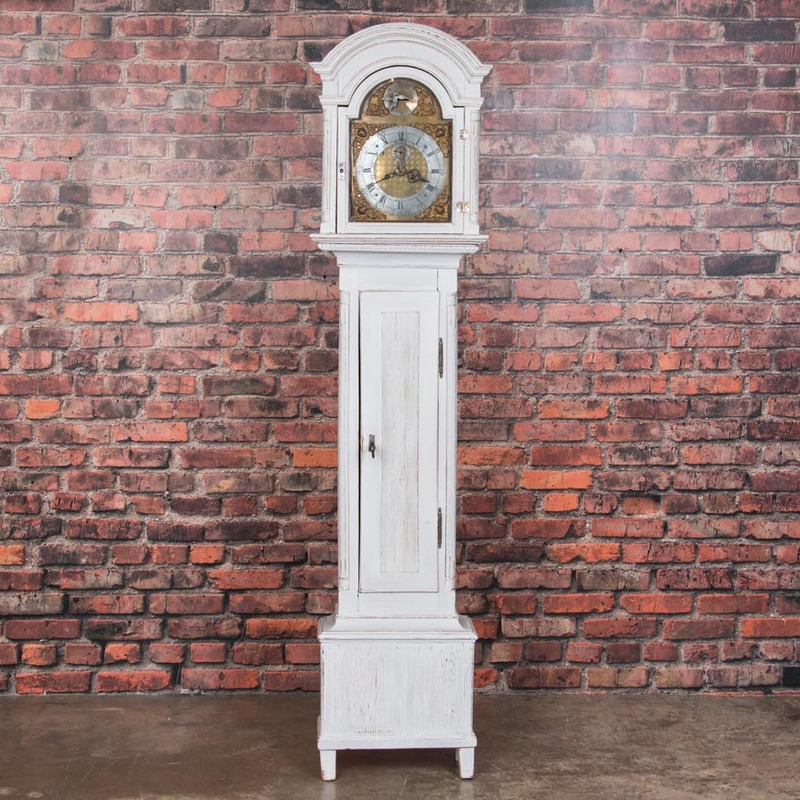 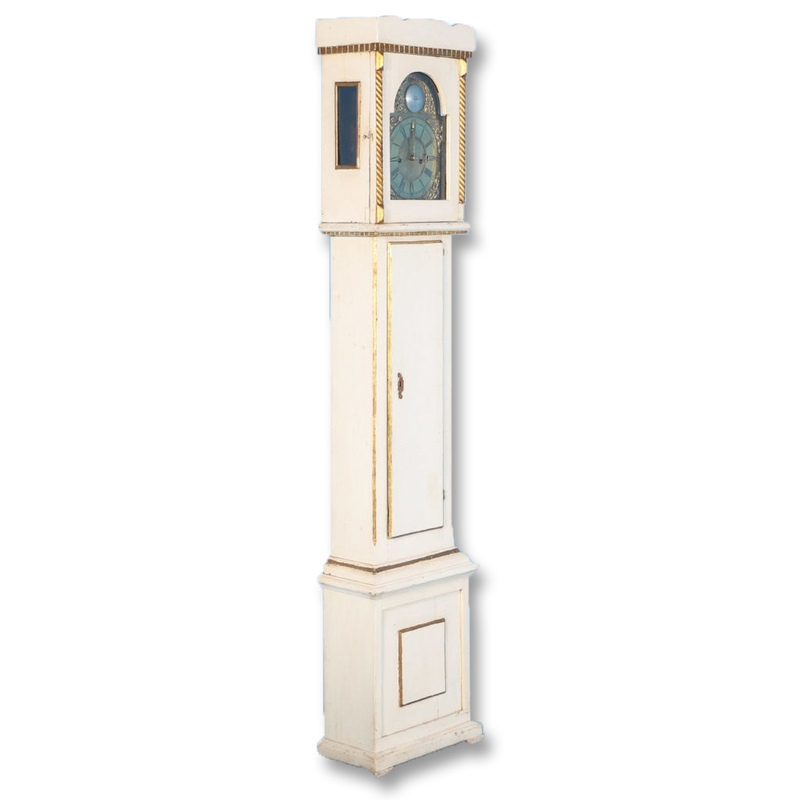 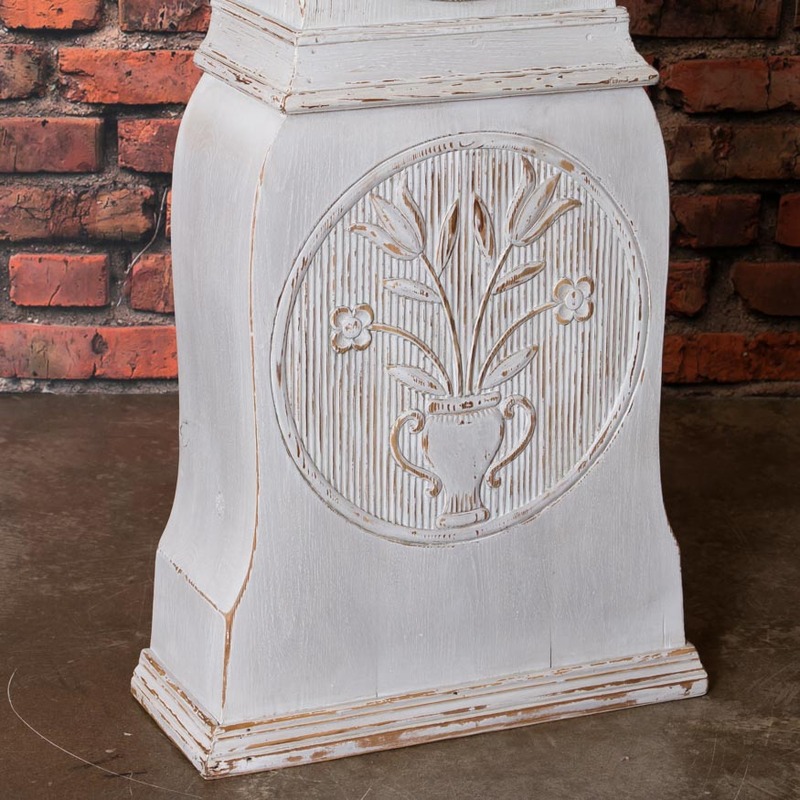 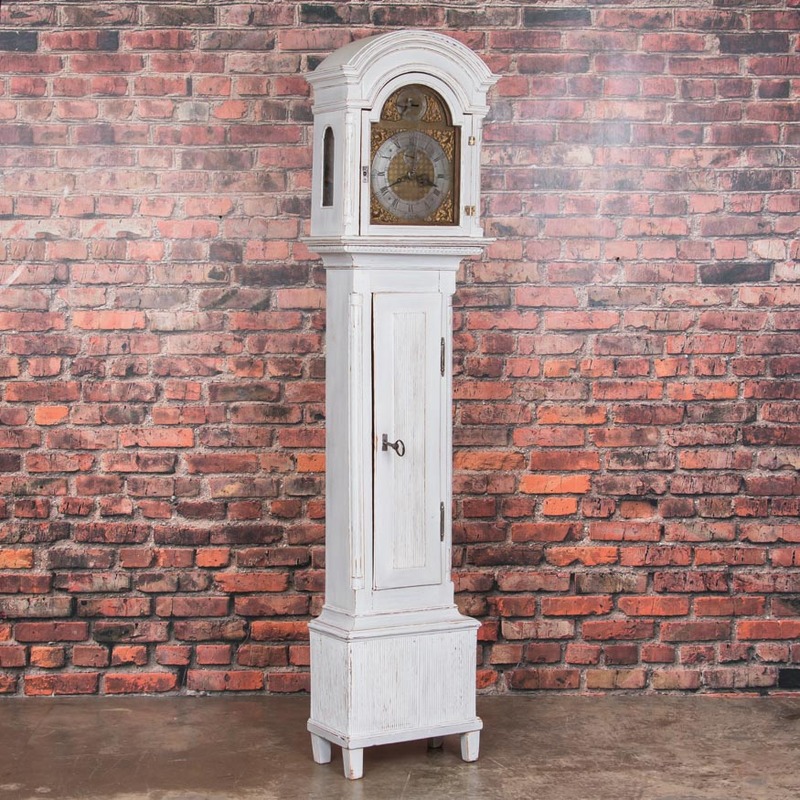 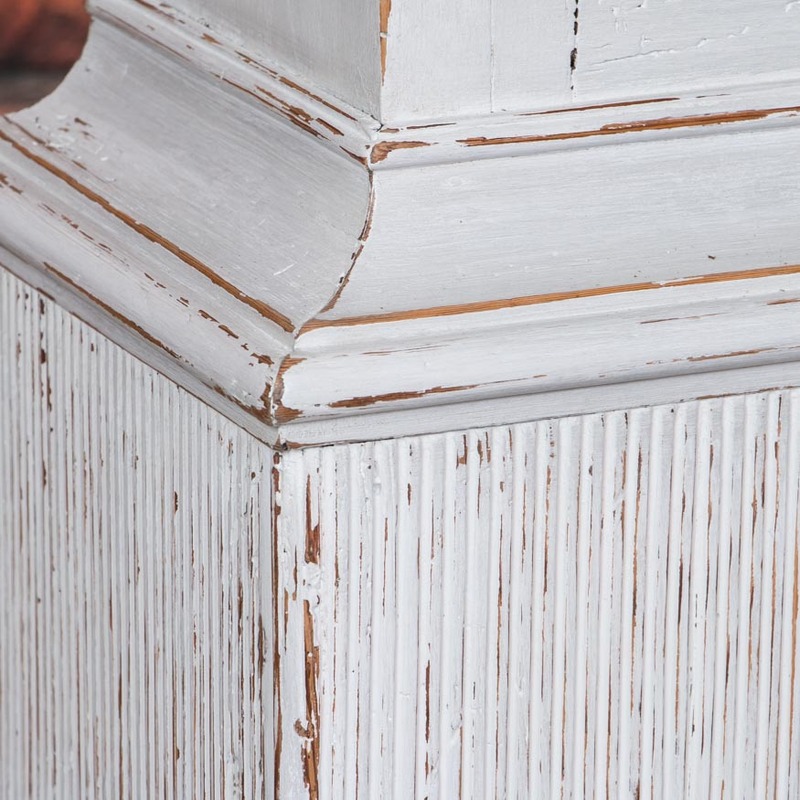 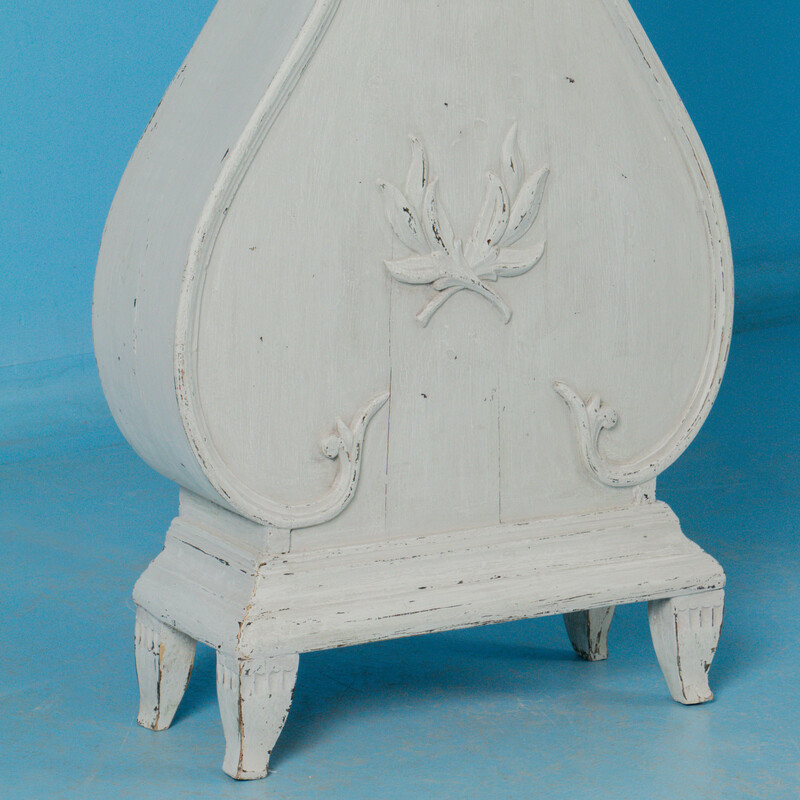 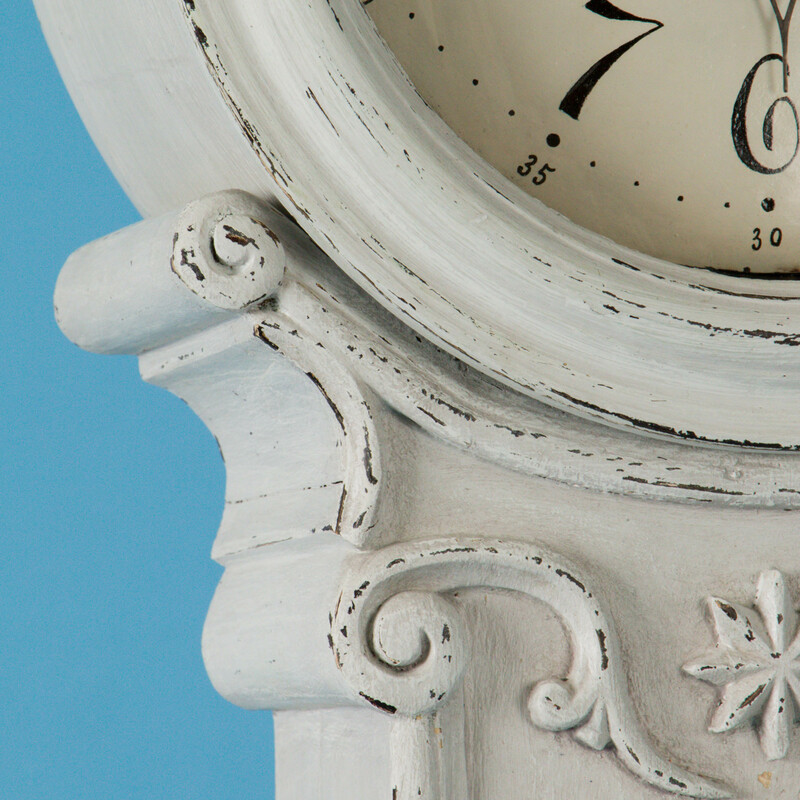 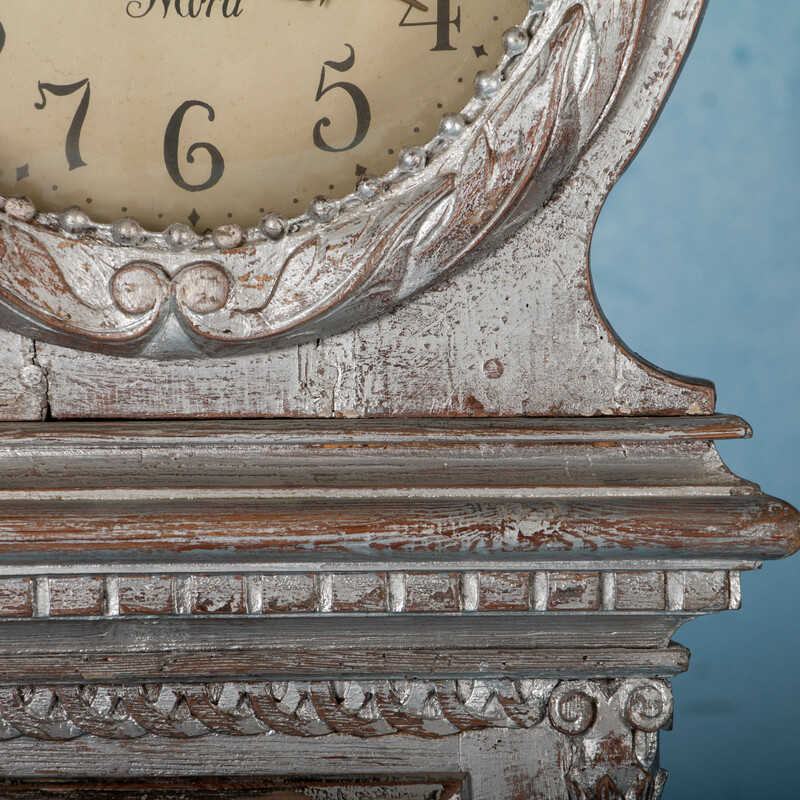 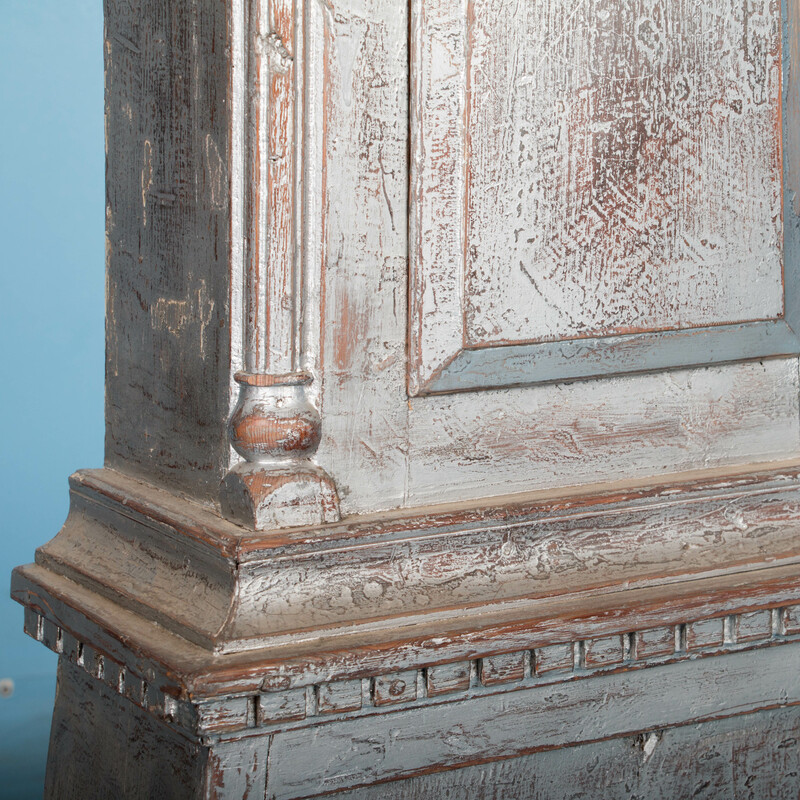 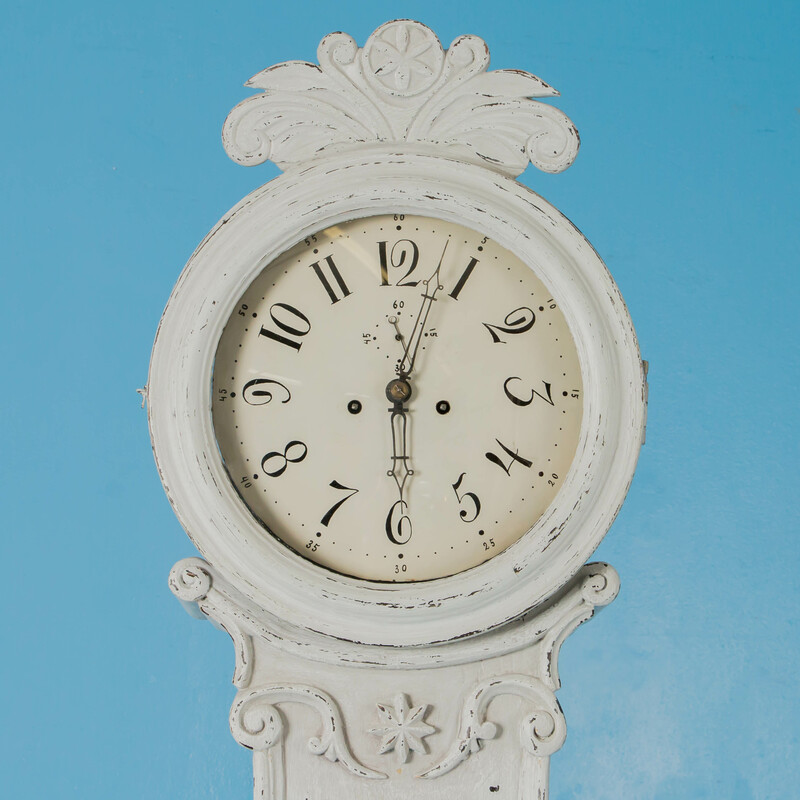 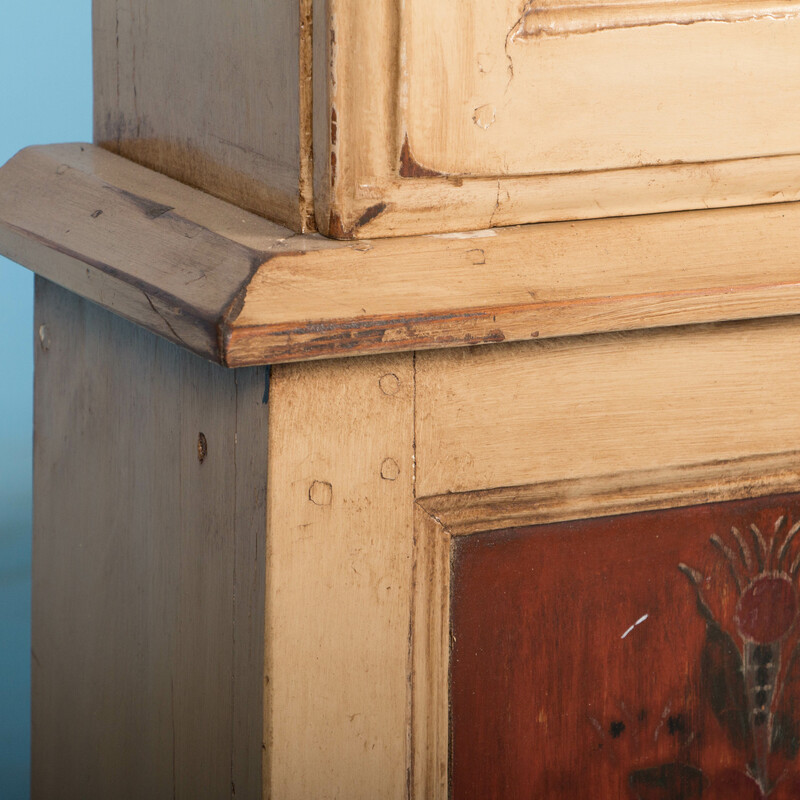 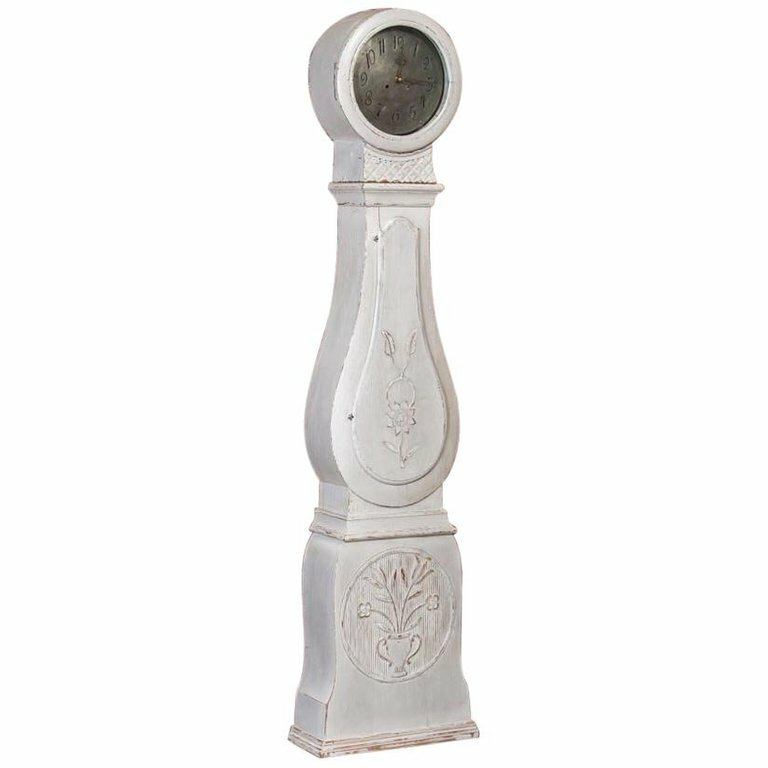 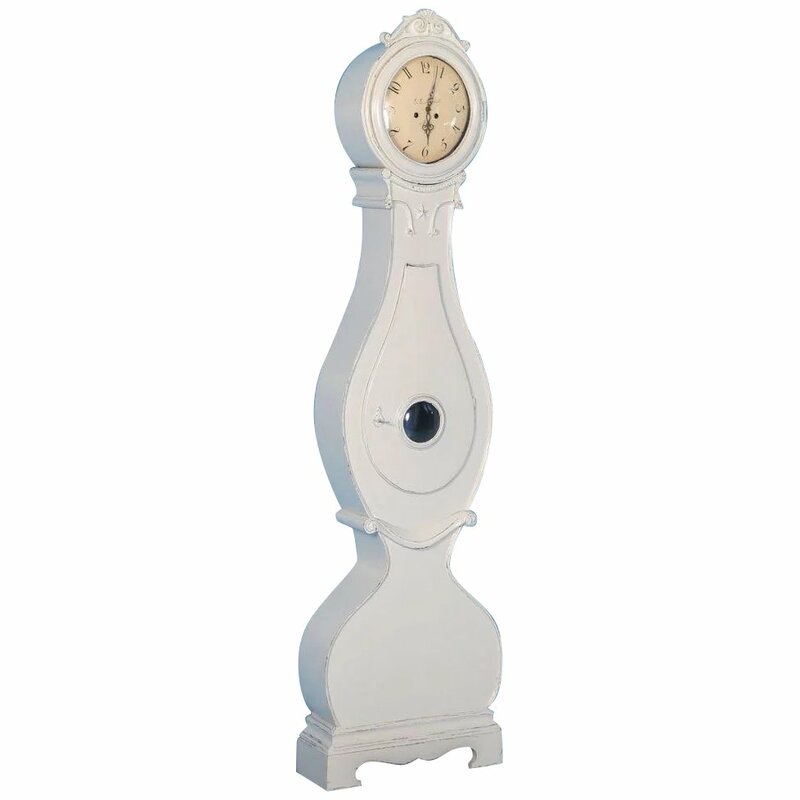 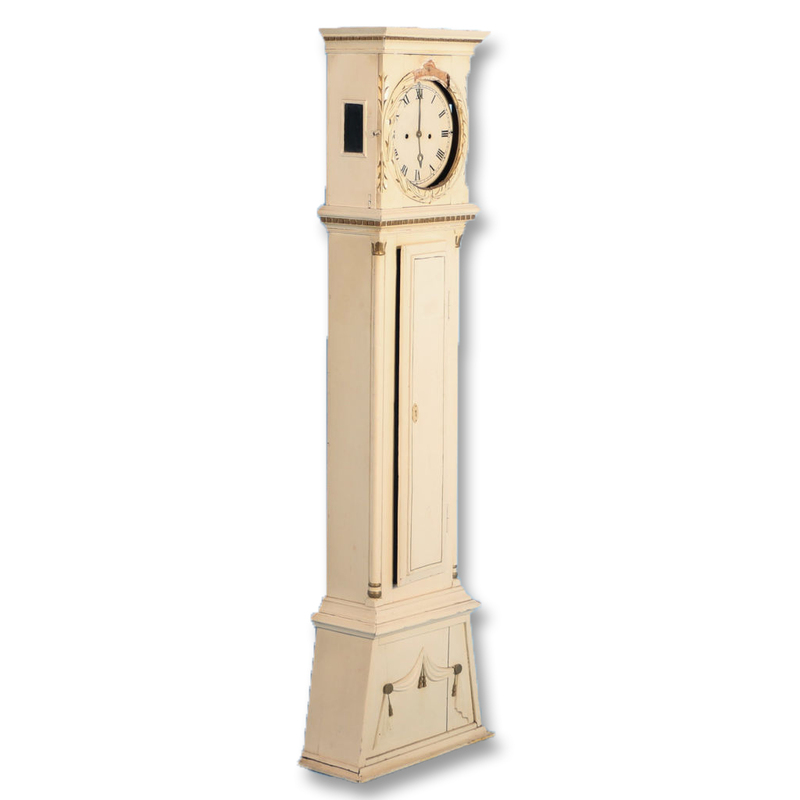 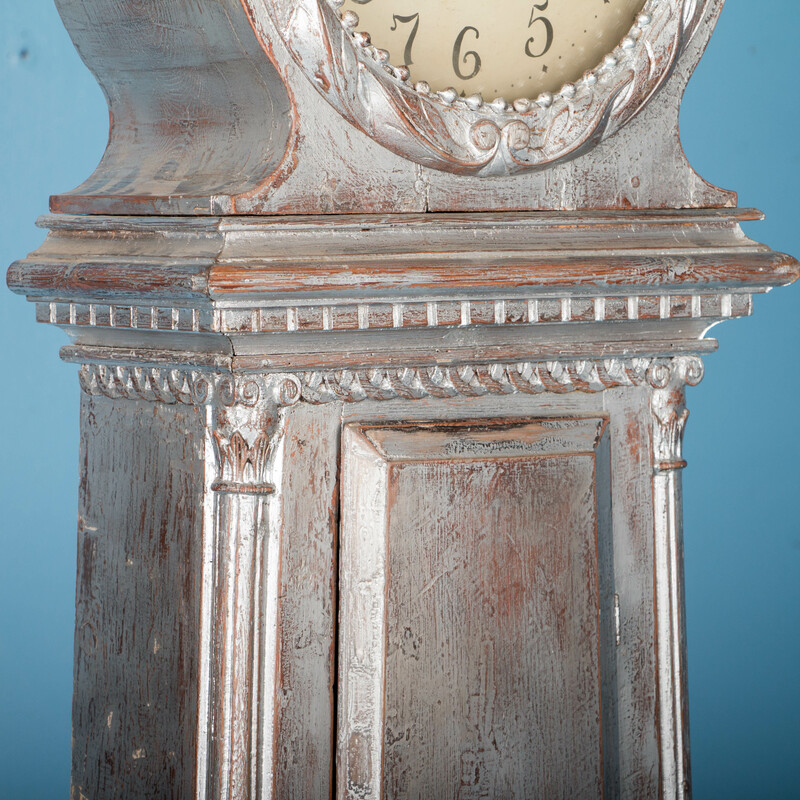 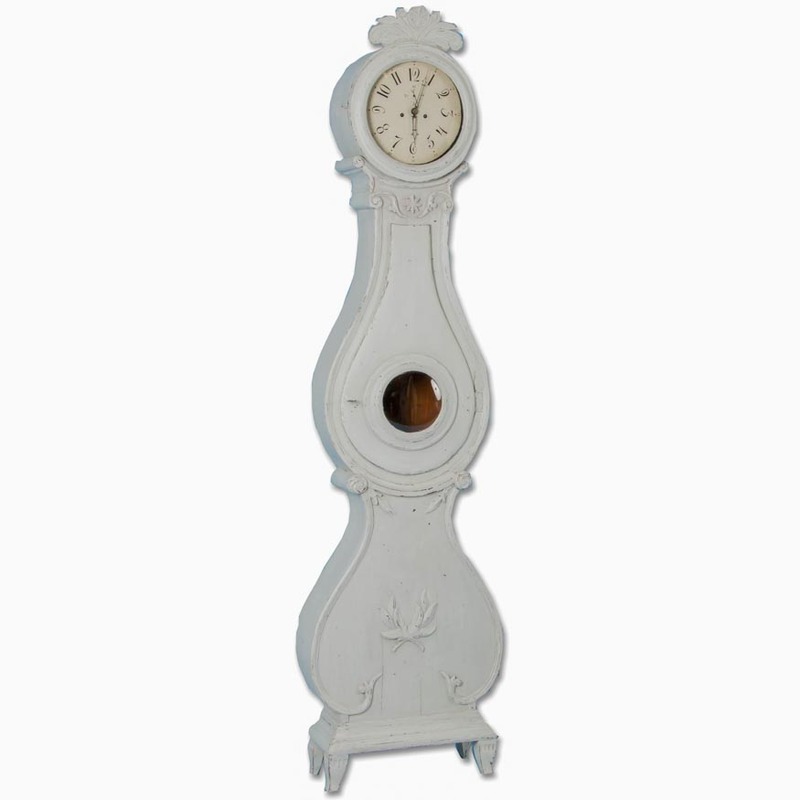 The white painted finish compliments the Swedish styling of this Mora grandfather clock. 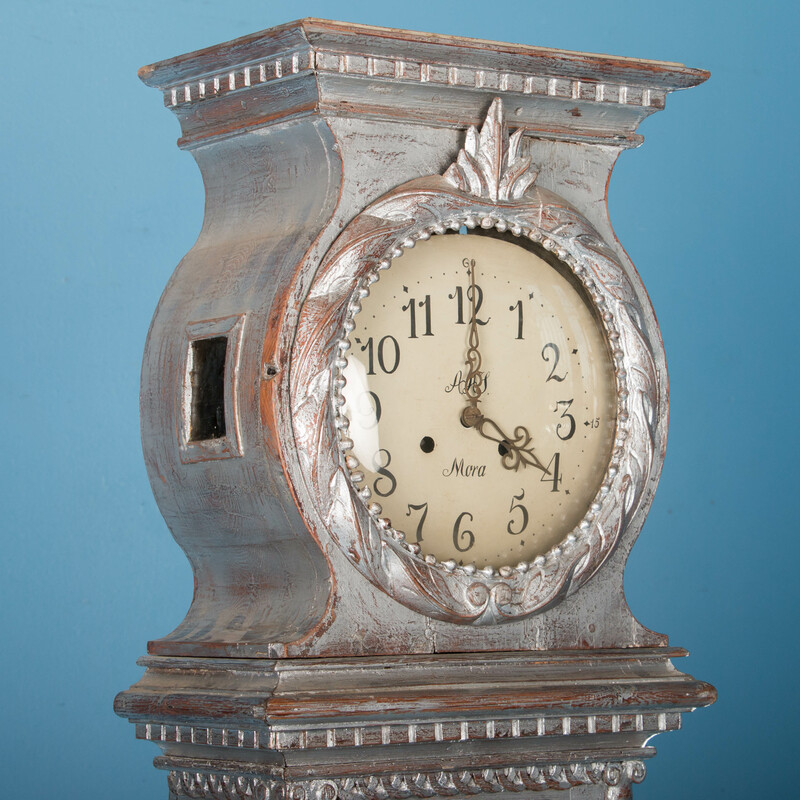 The original clockworks can be restored or we will have a battery function installed for ease of use. 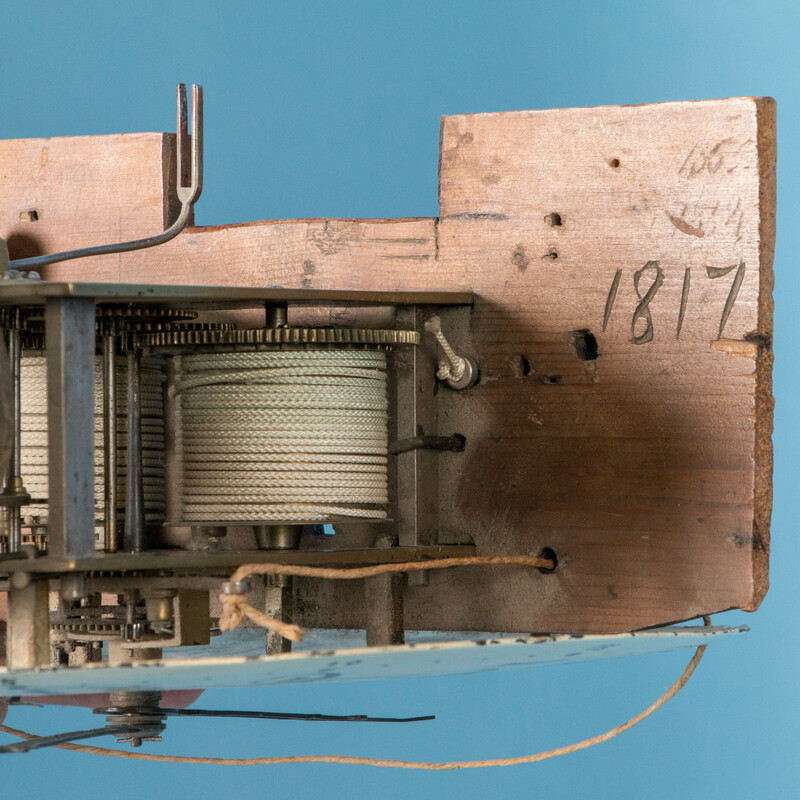 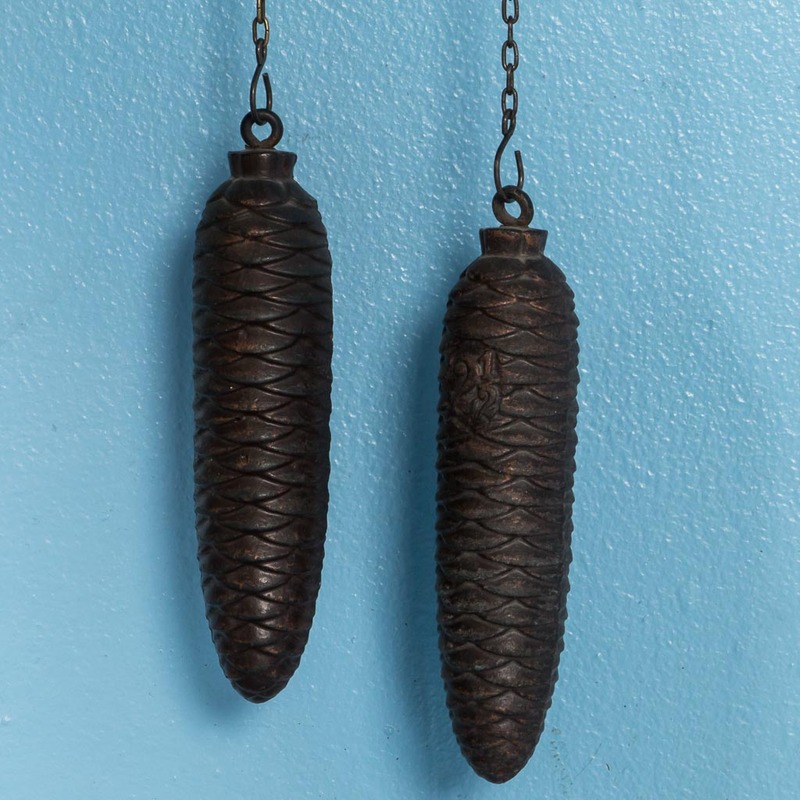 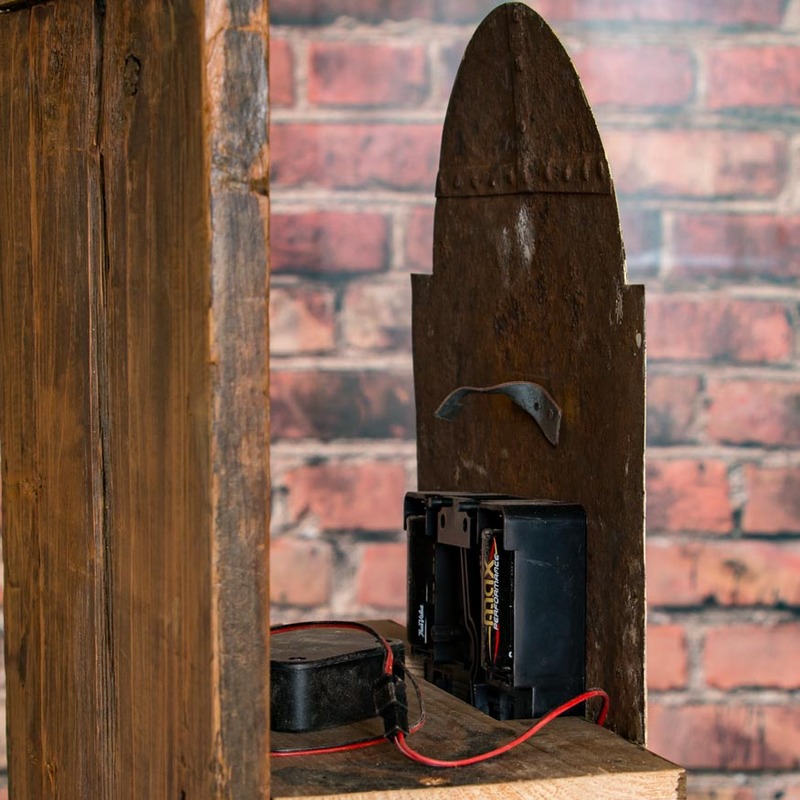 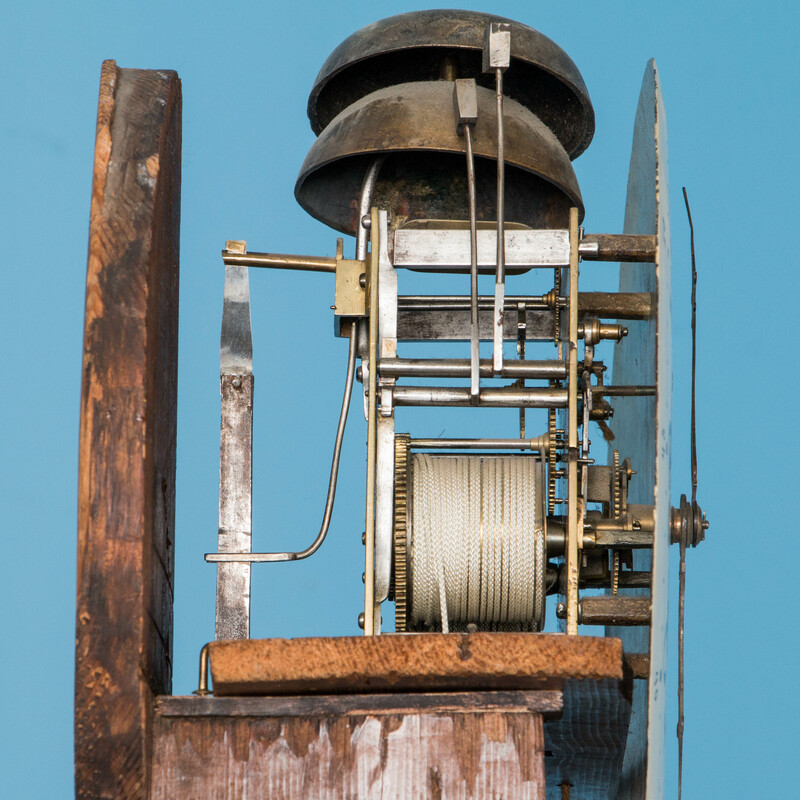 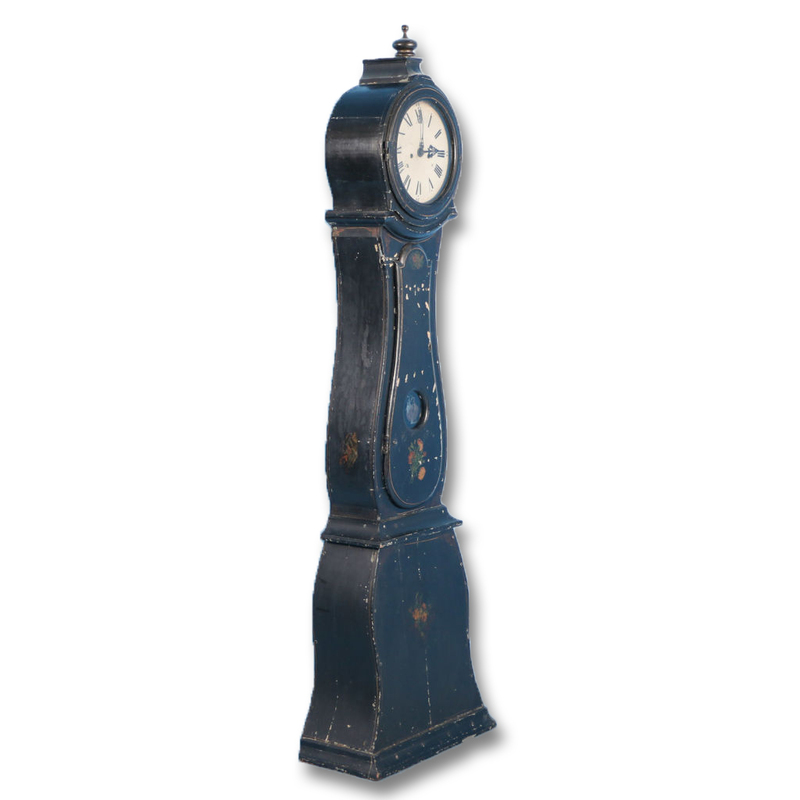 ​The original clockworks can be restored or we will have a battery function installed for ease of use. 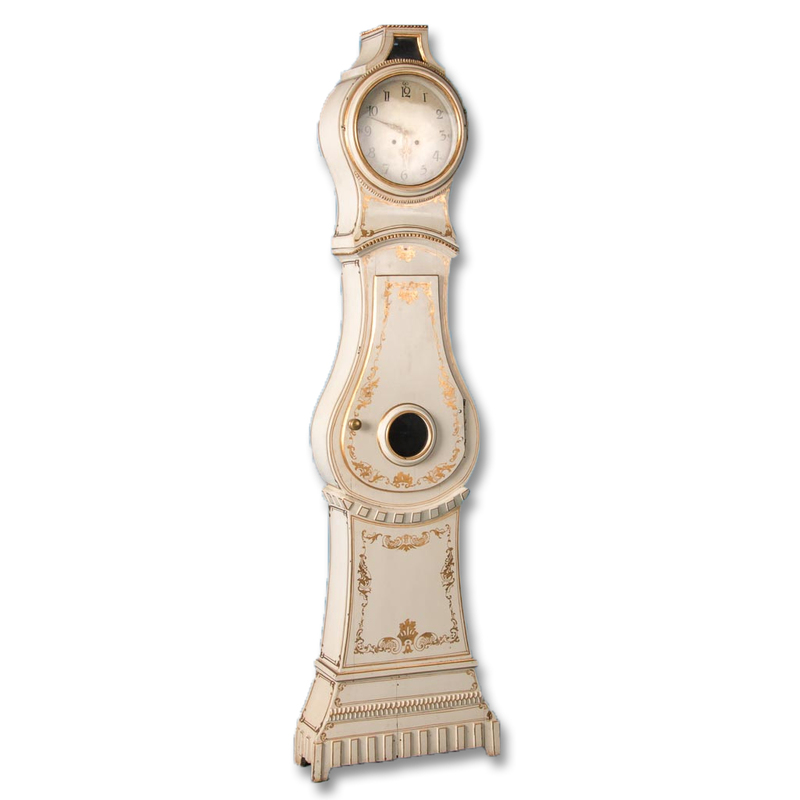 We always leave the choice regarding the type of clock function to the discretion of the individual buyer. 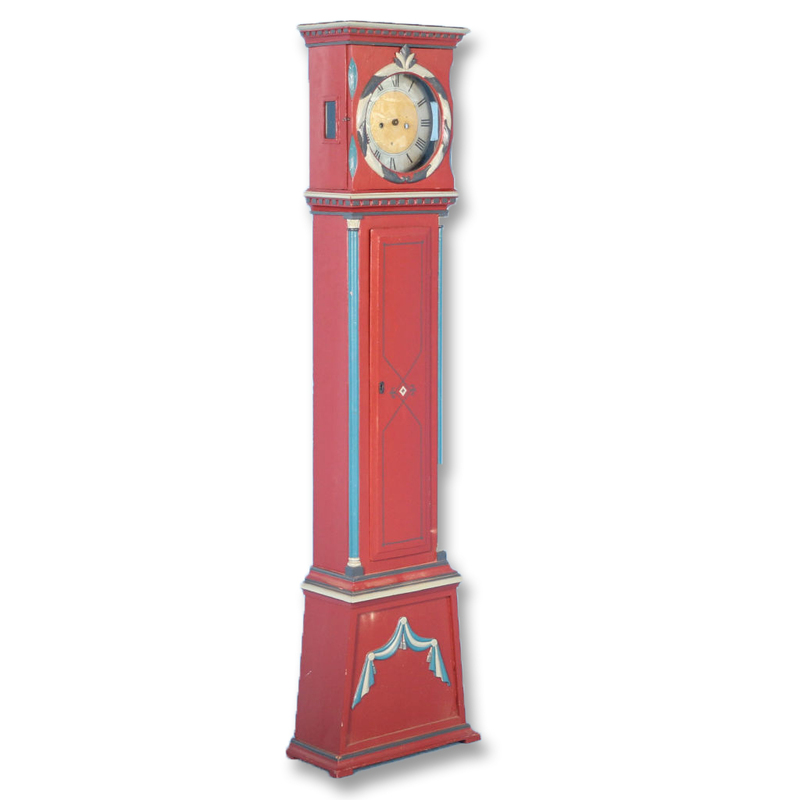 The original clockworks can be restored or we will have a battery function installed for ease of use. 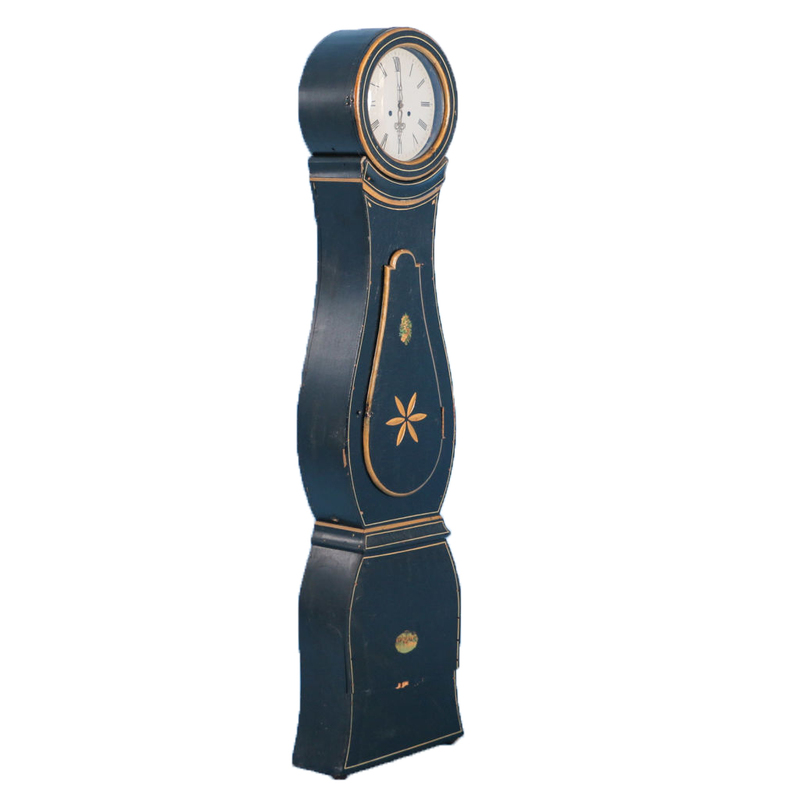 We always leave choice regarding the type of clock function to the discretion of the individual buyer. 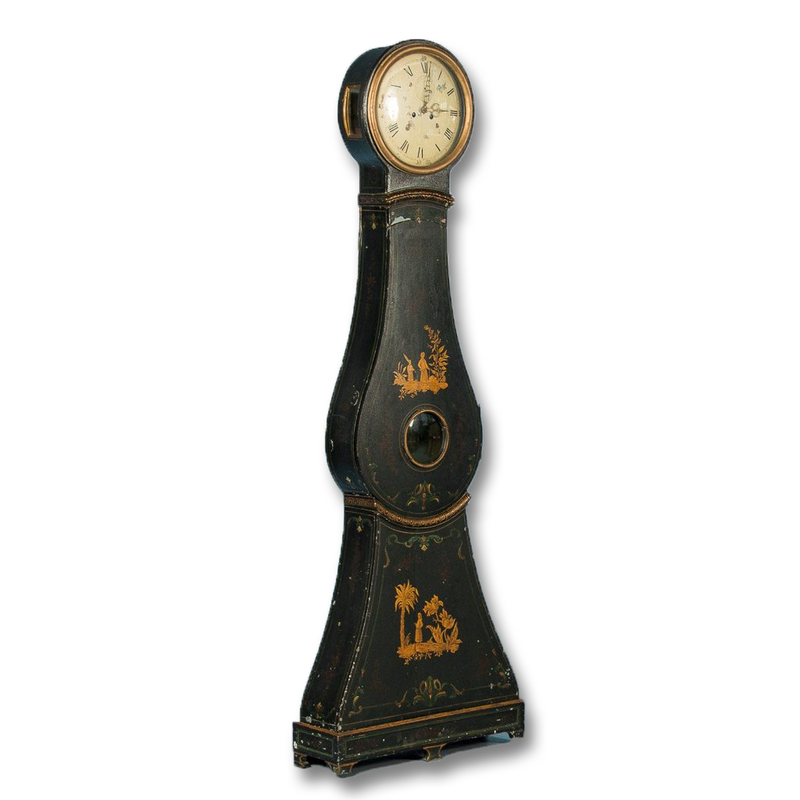 Graceful curves accentuate this striking grandfather clock from the famous region of Mora, Sweden. 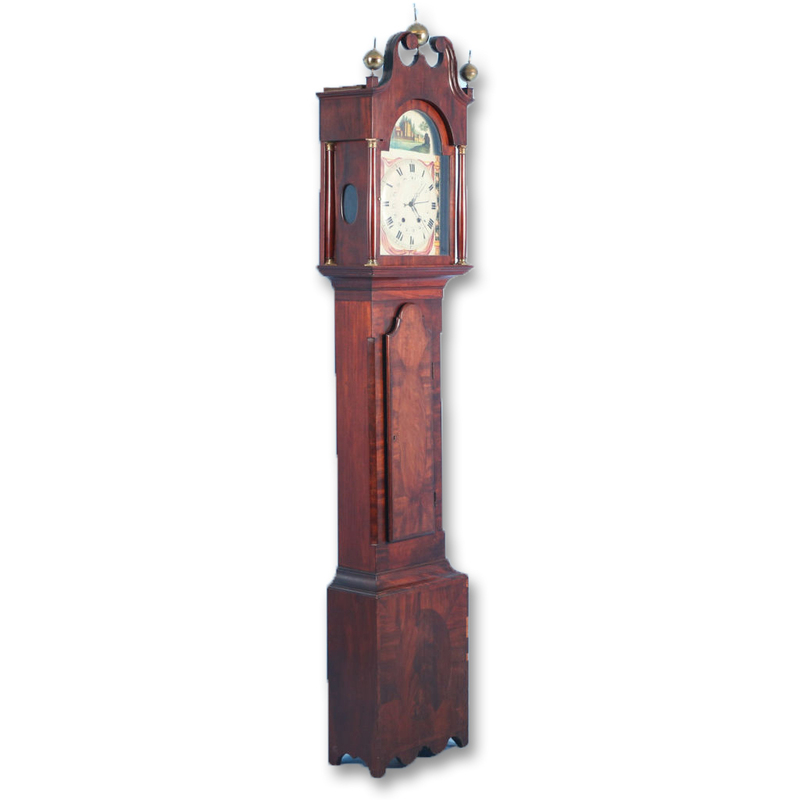 The original clockworks can be restored or we will have a battery function installed for ease of use. 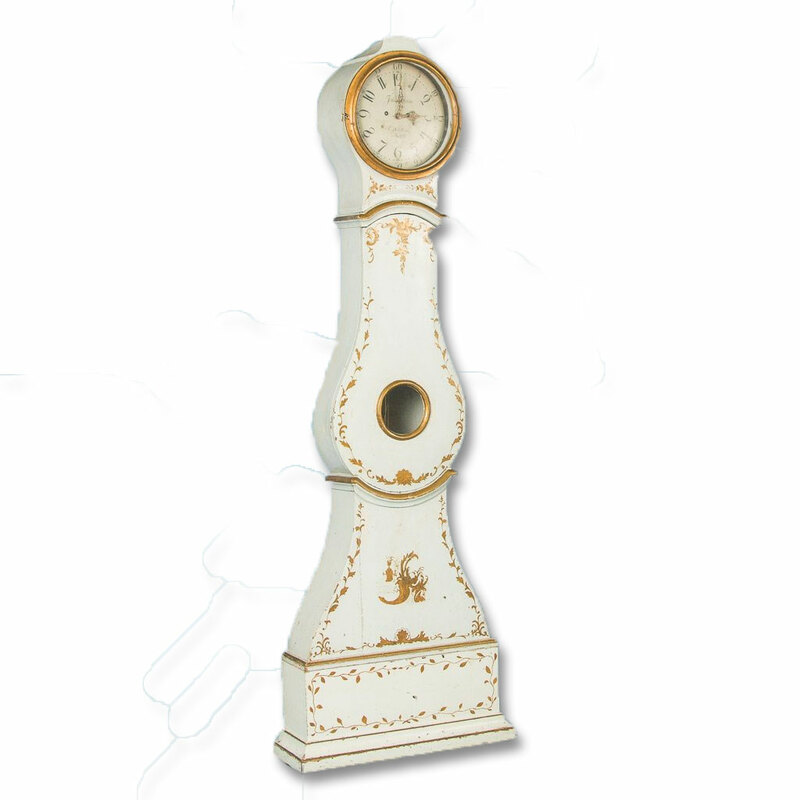 We always leave the choice regarding the type of clock function to the discretion of the individual buyer. 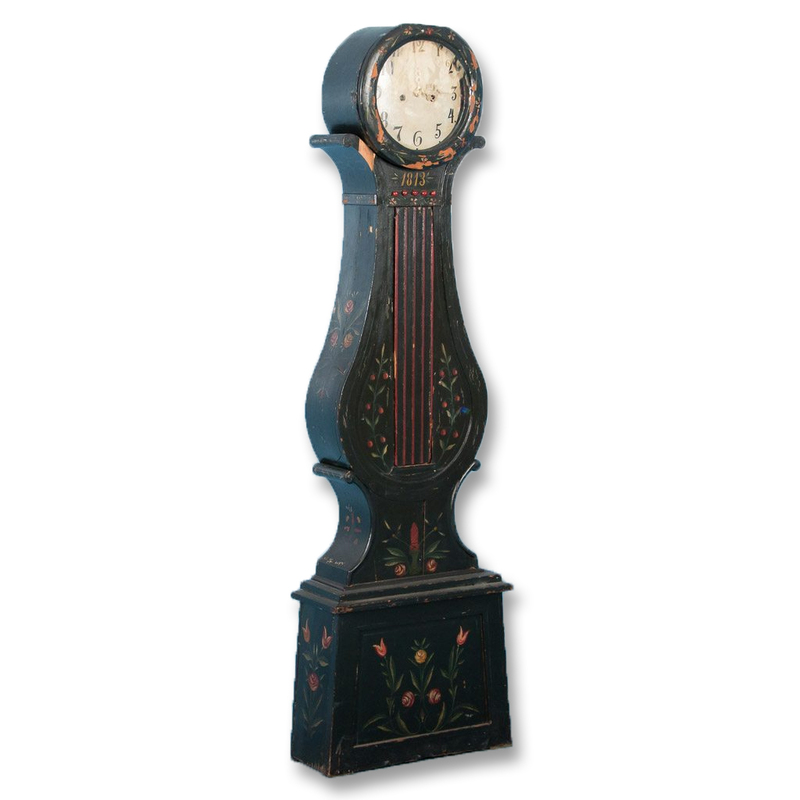 Graceful curves accentuate this original black painted grandfather clock painted black from the famous region of Mora, Sweden. 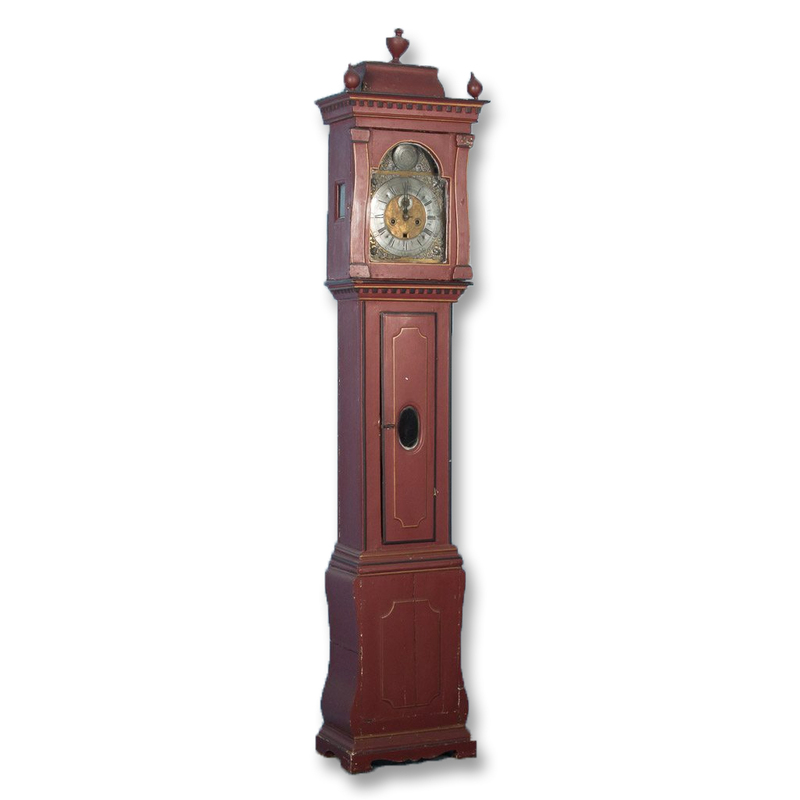 The original clockworks can be restored or we will have a battery function installed for ease of use. 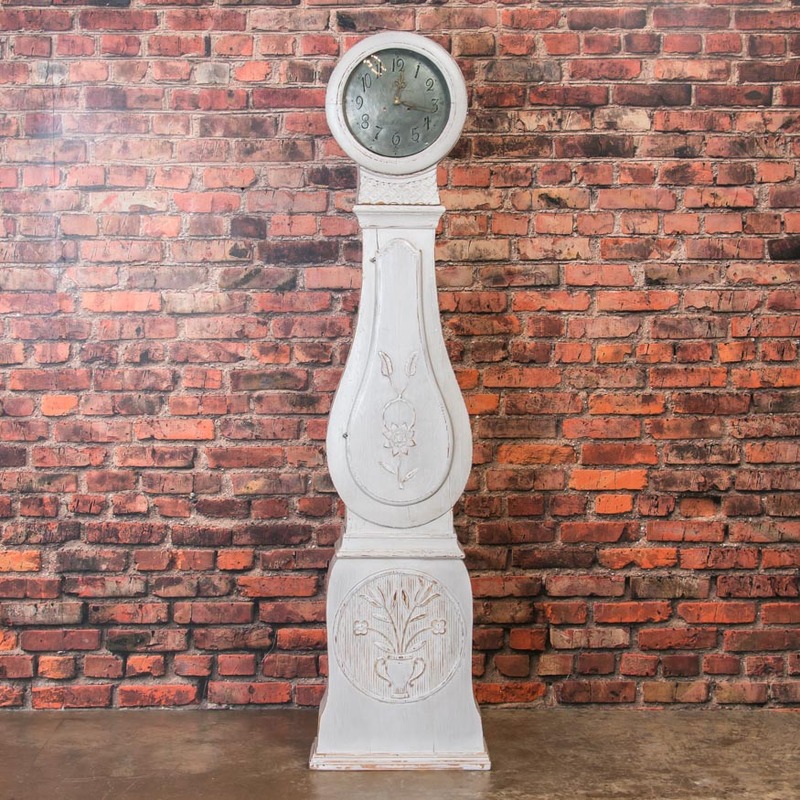 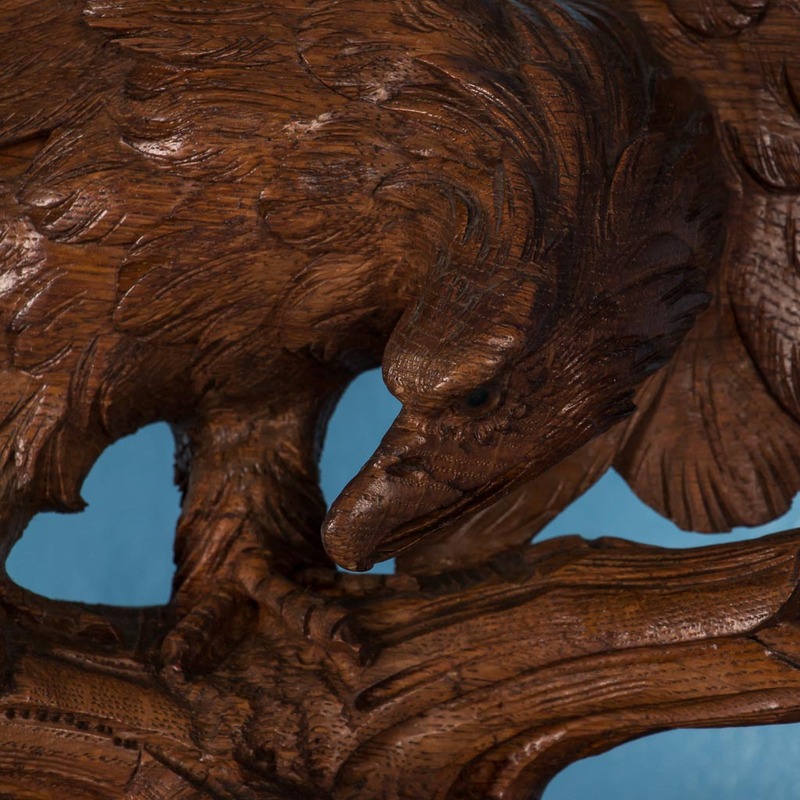 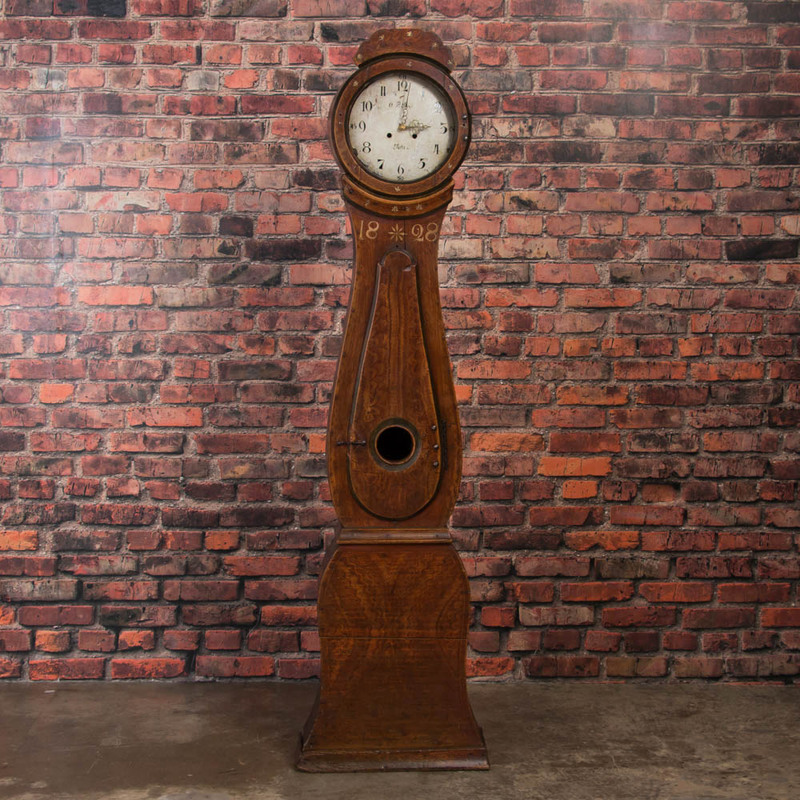 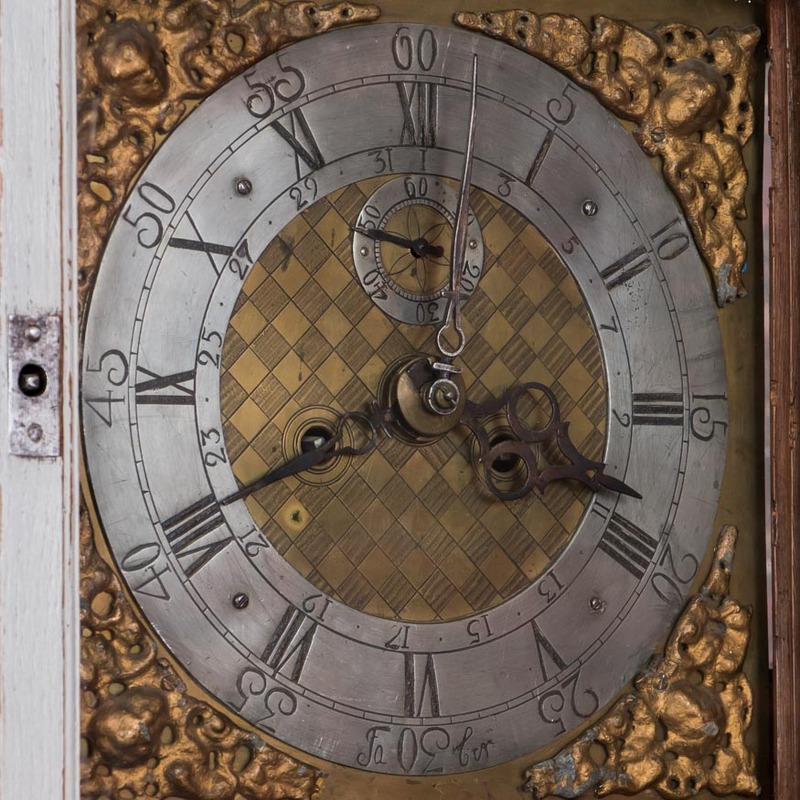 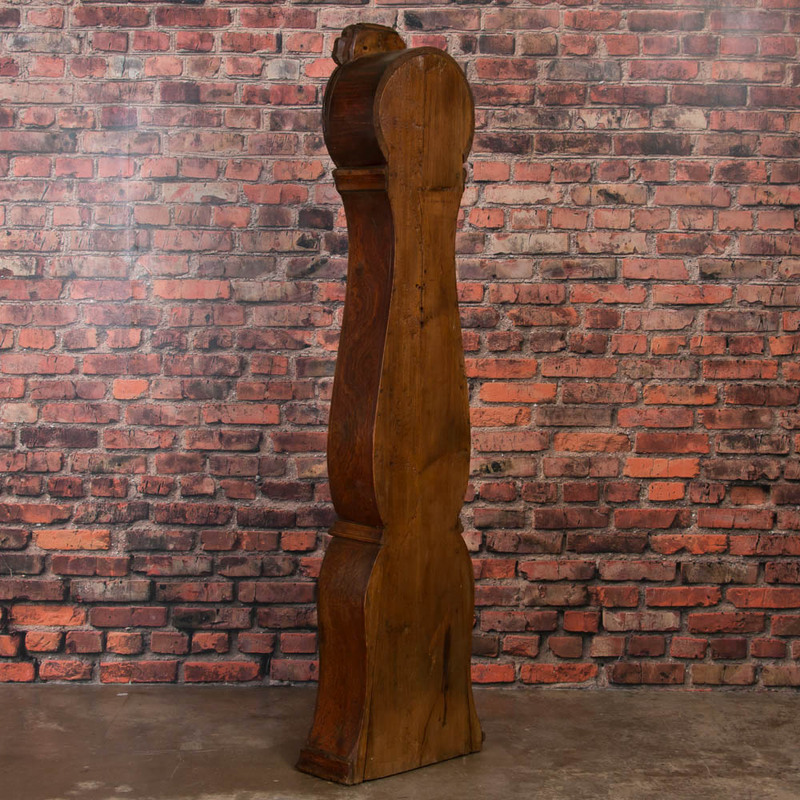 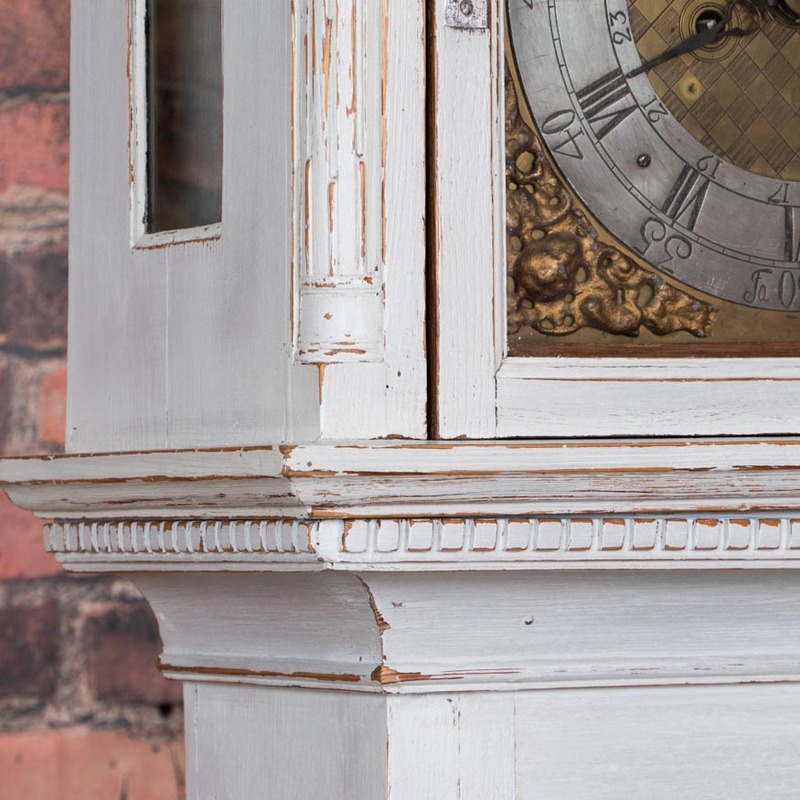 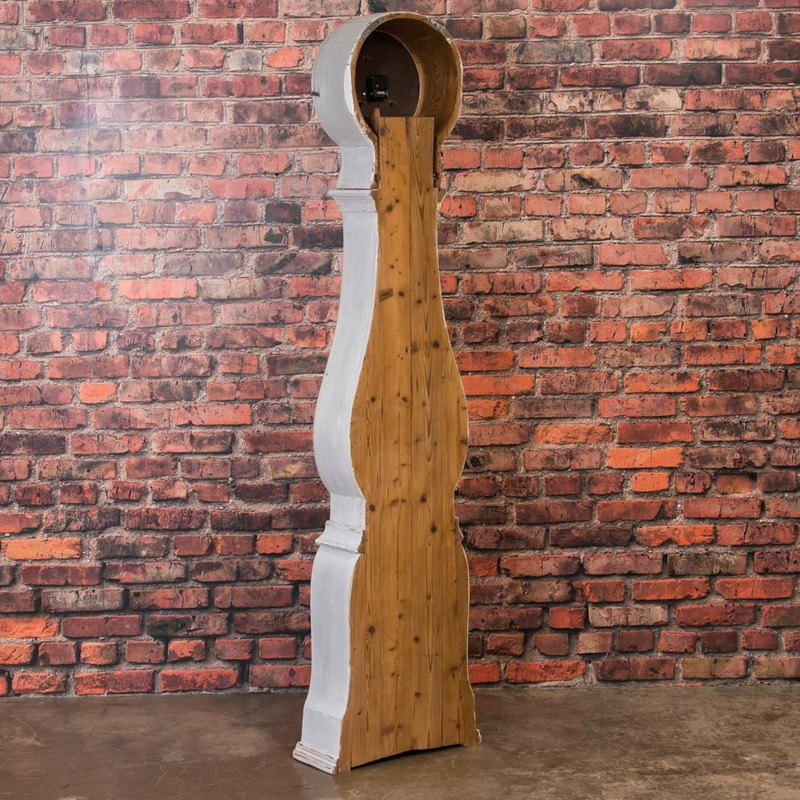 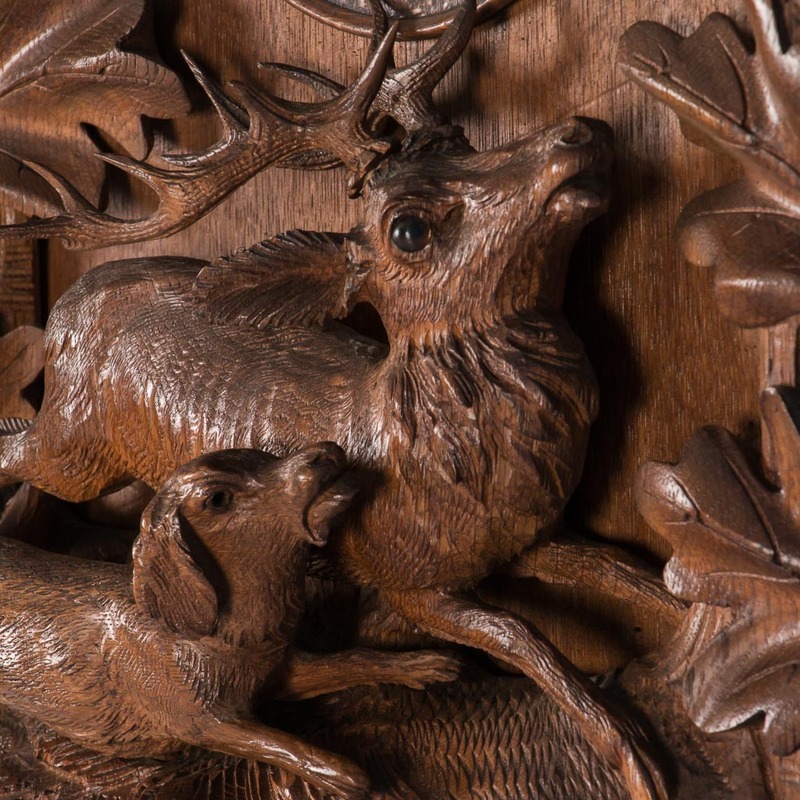 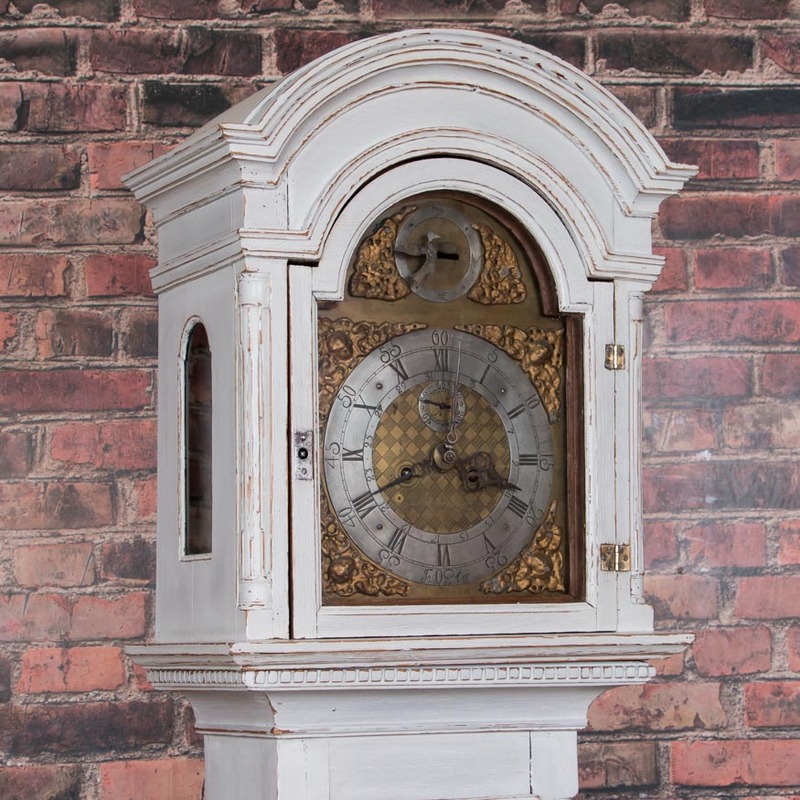 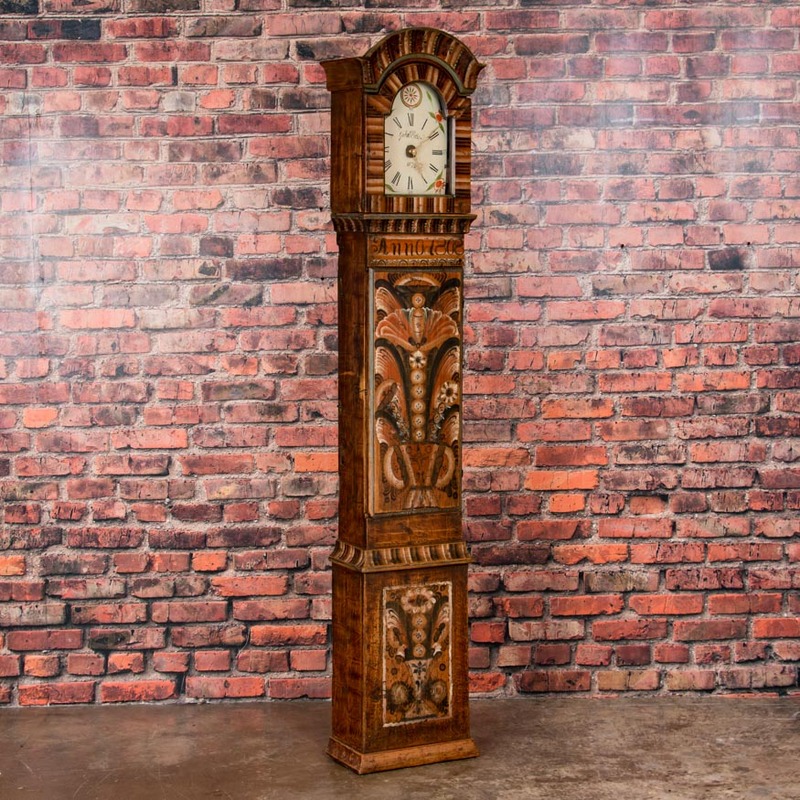 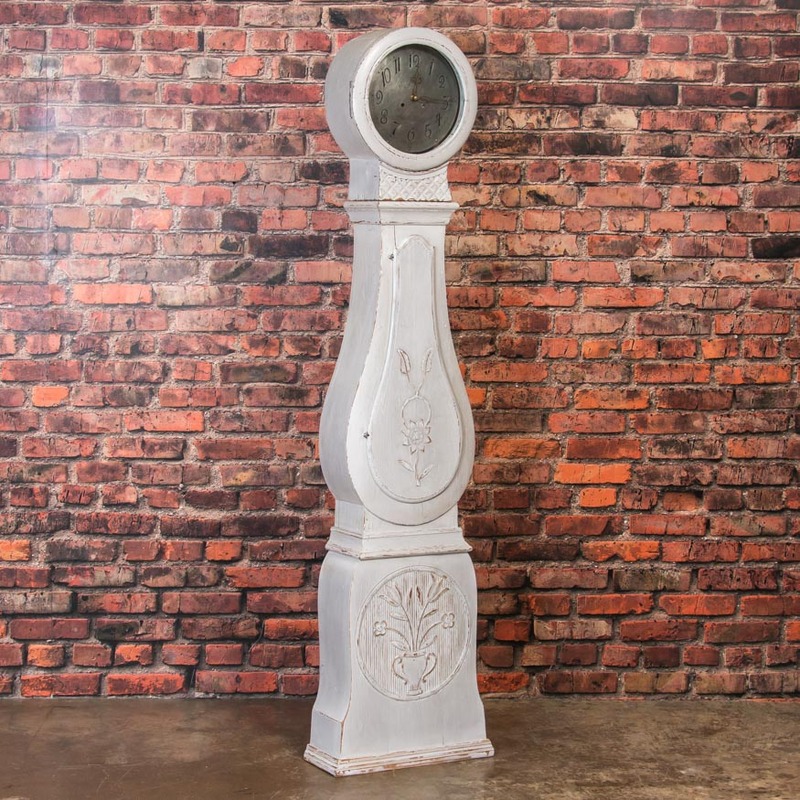 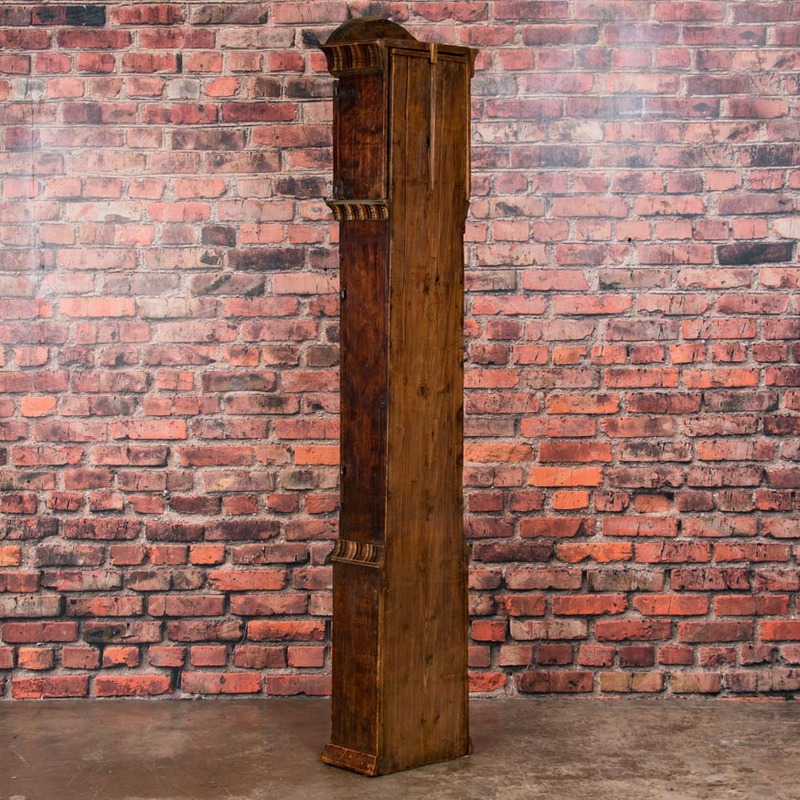 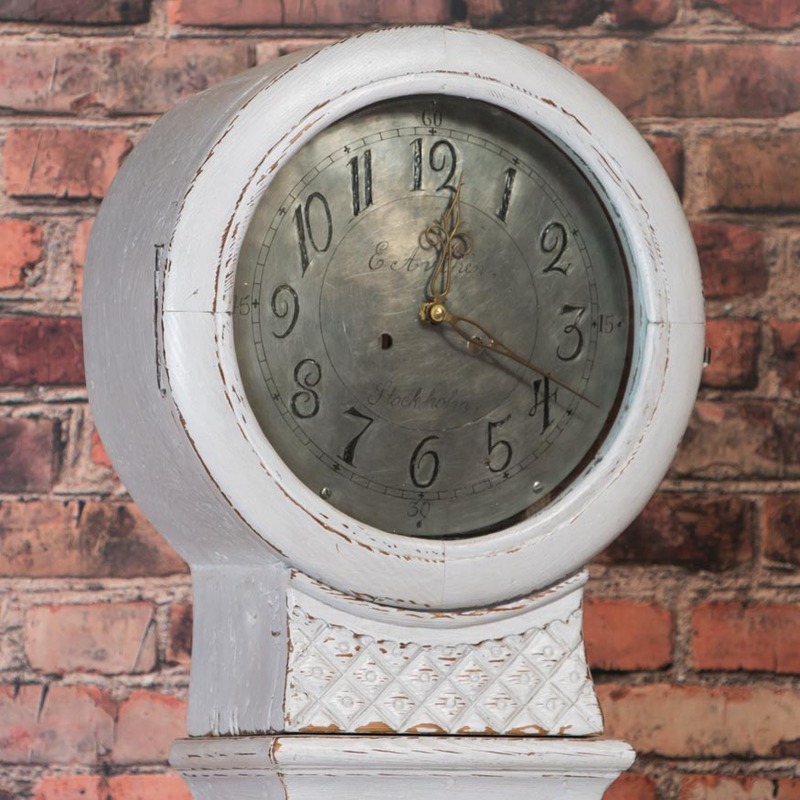 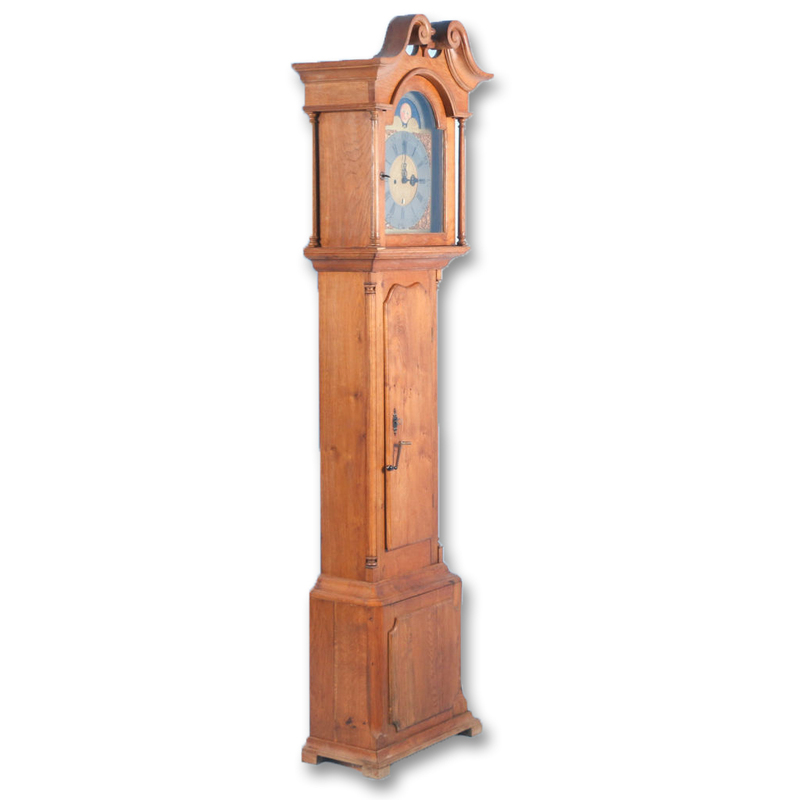 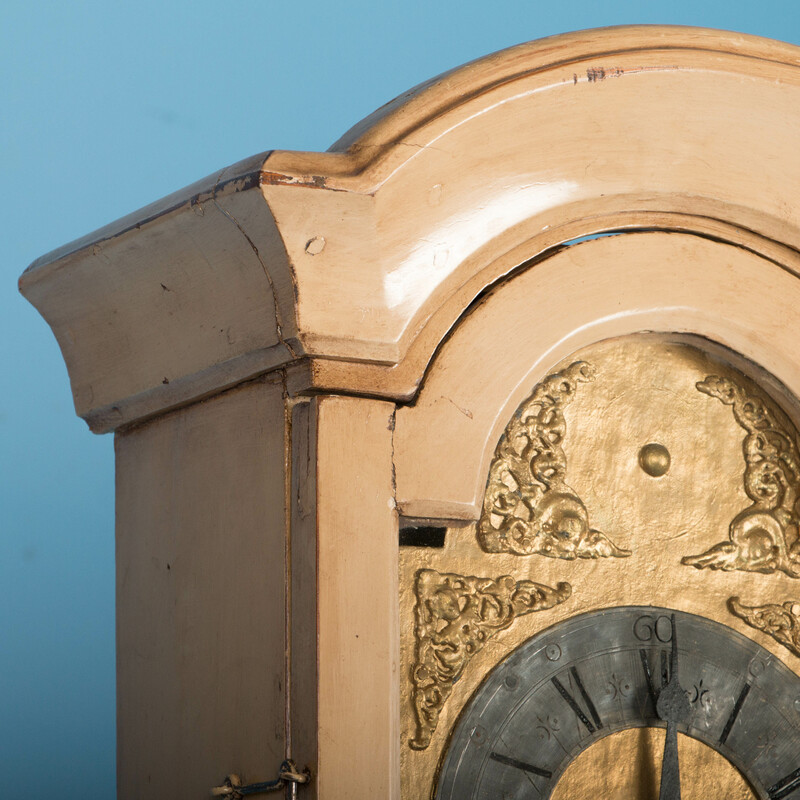 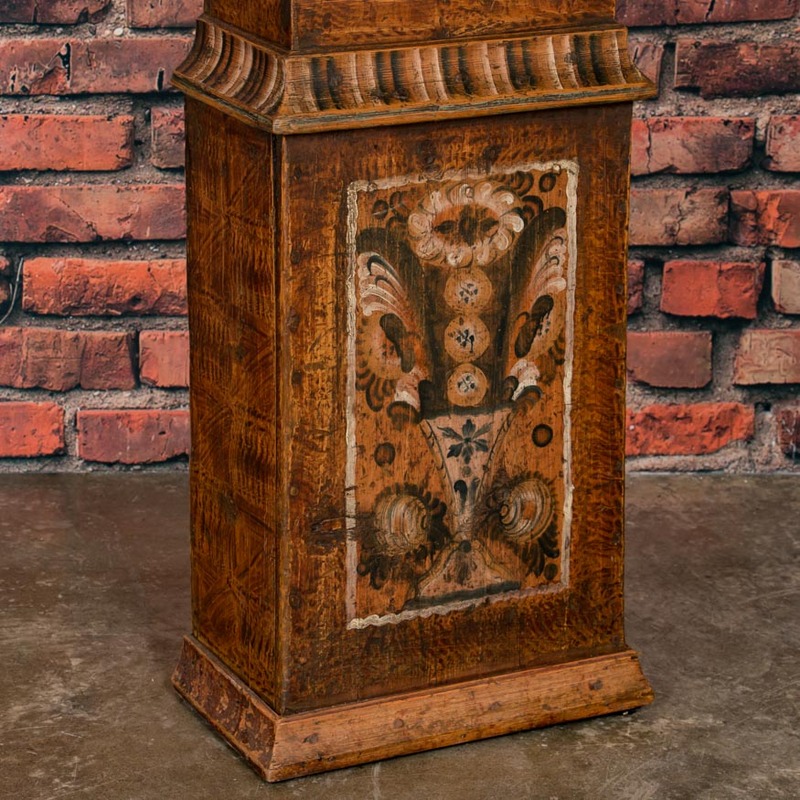 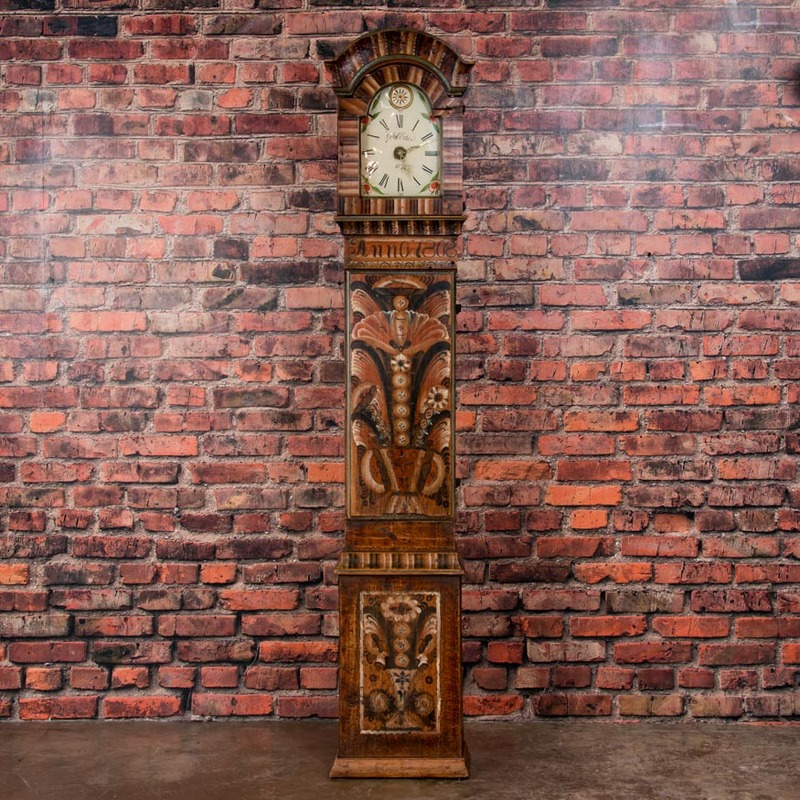 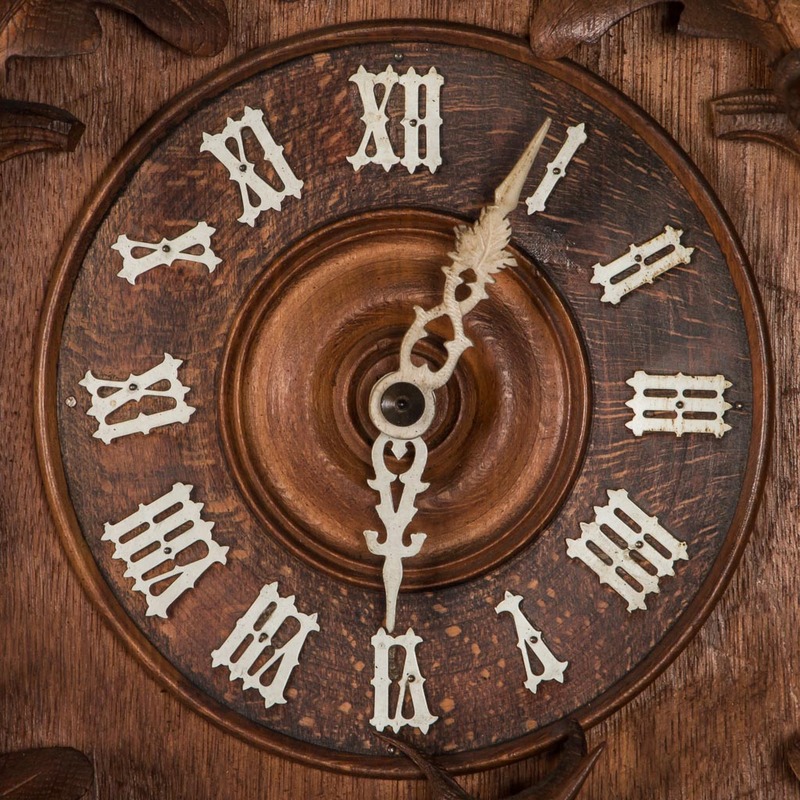 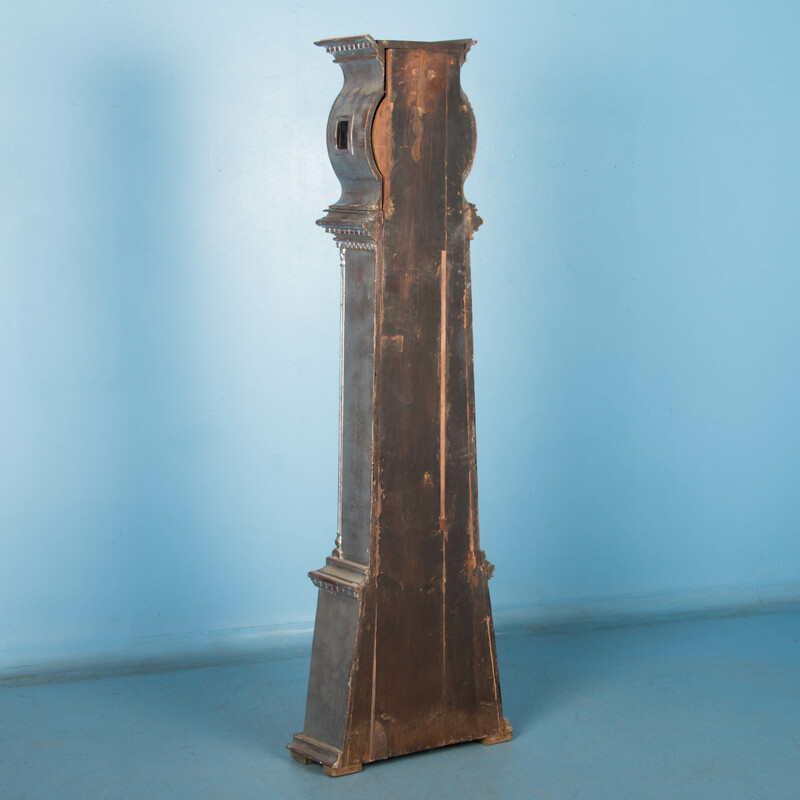 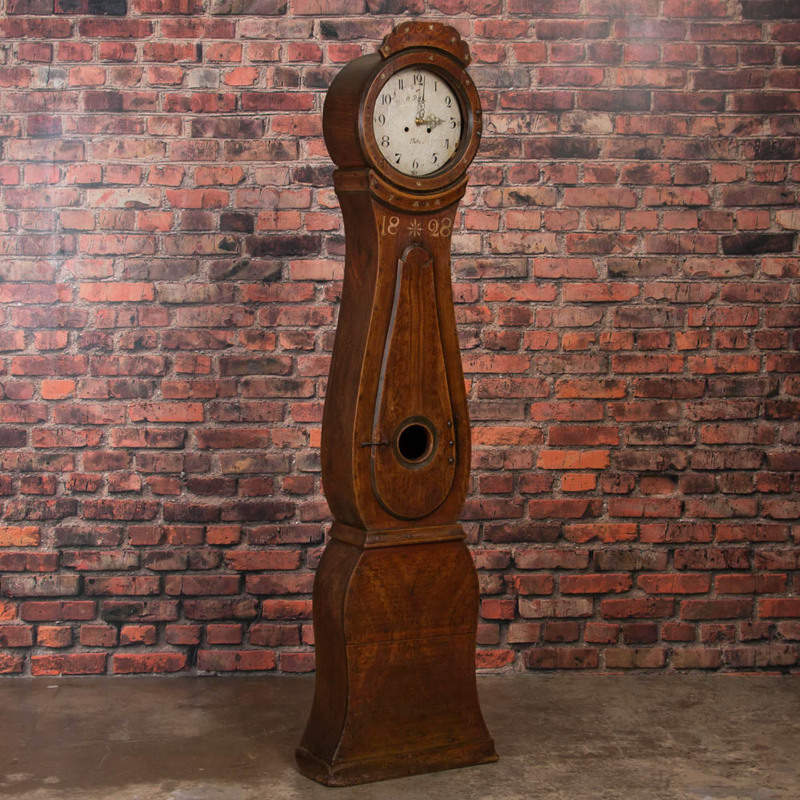 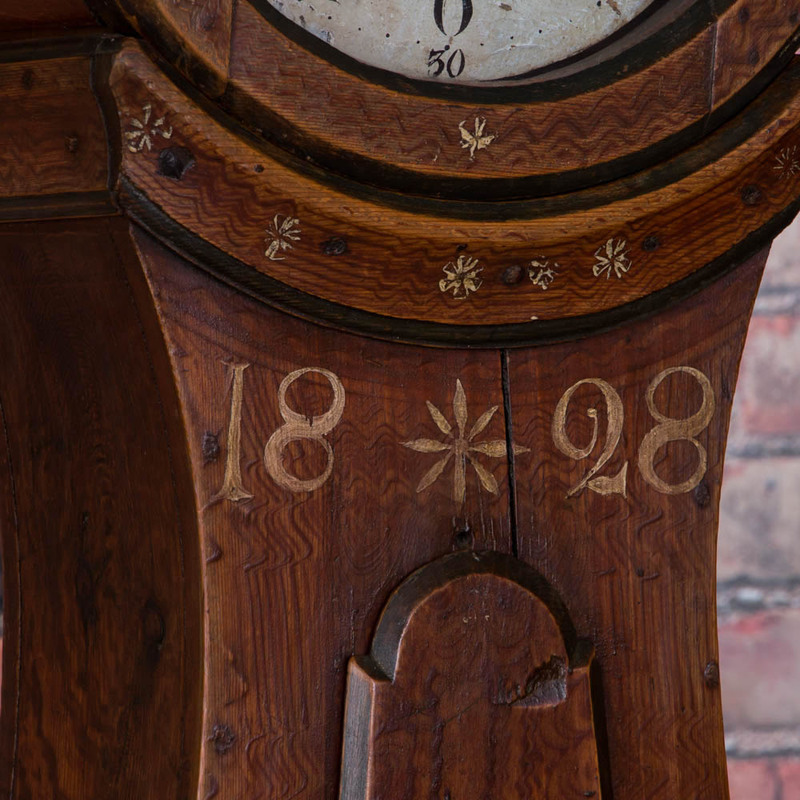 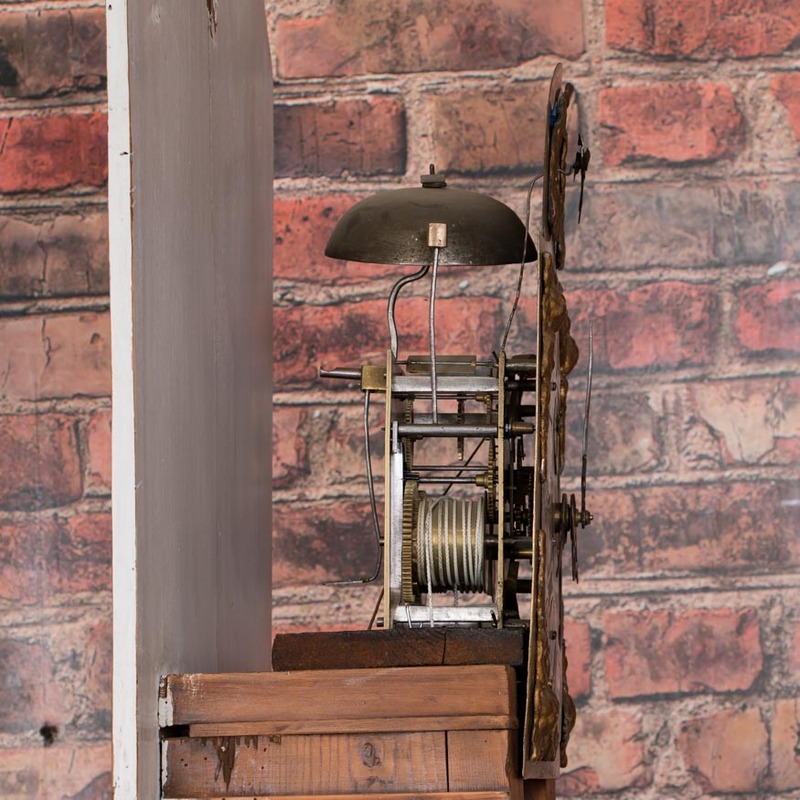 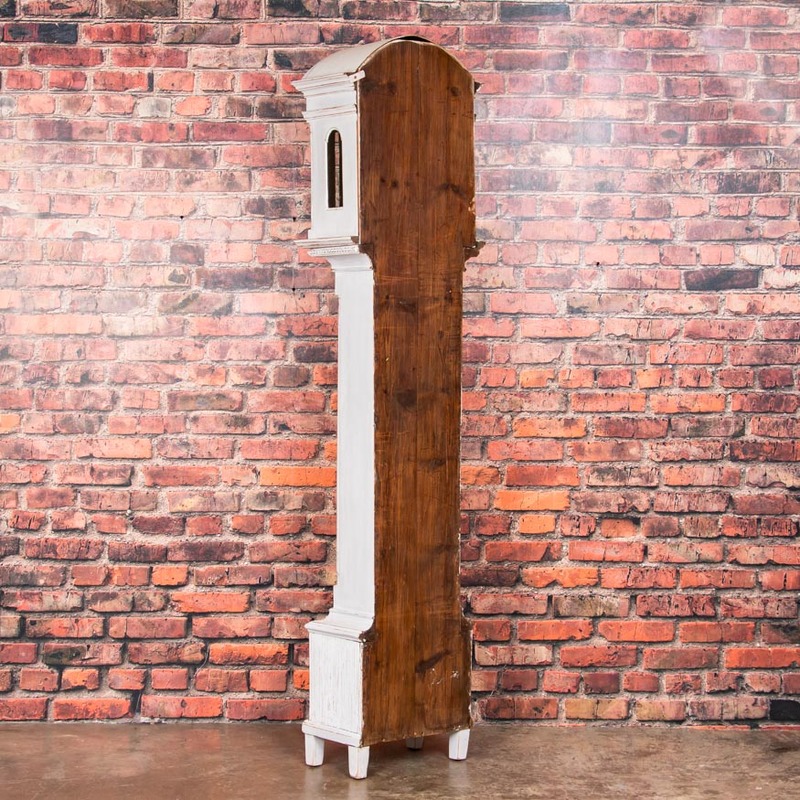 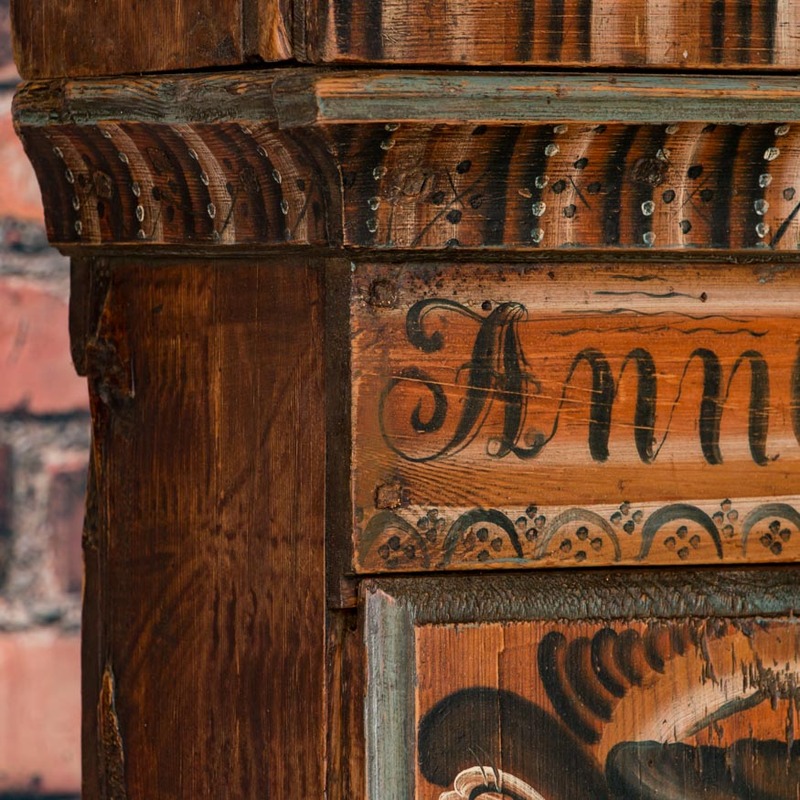 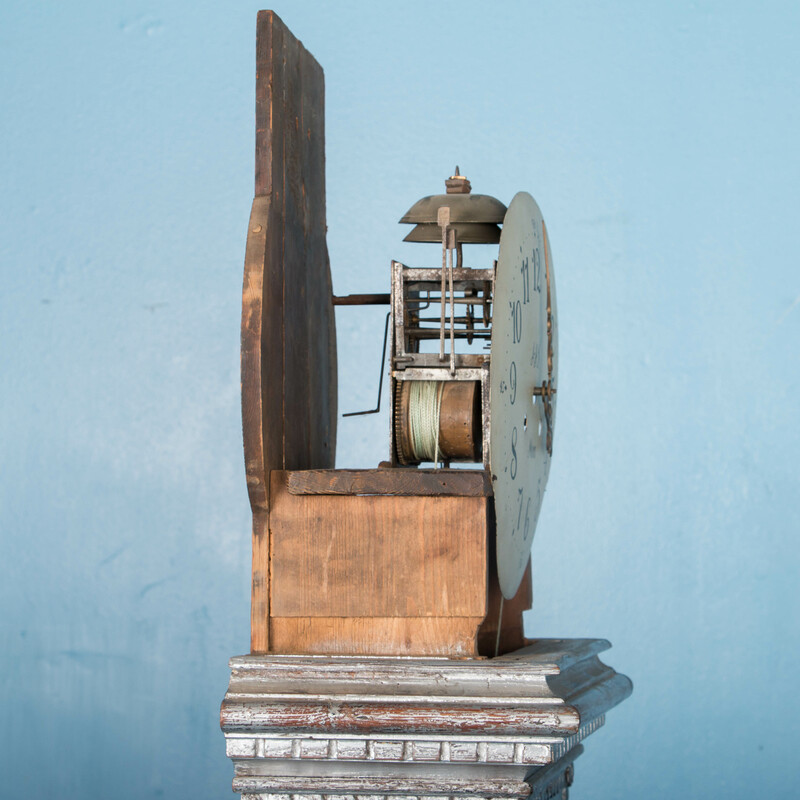 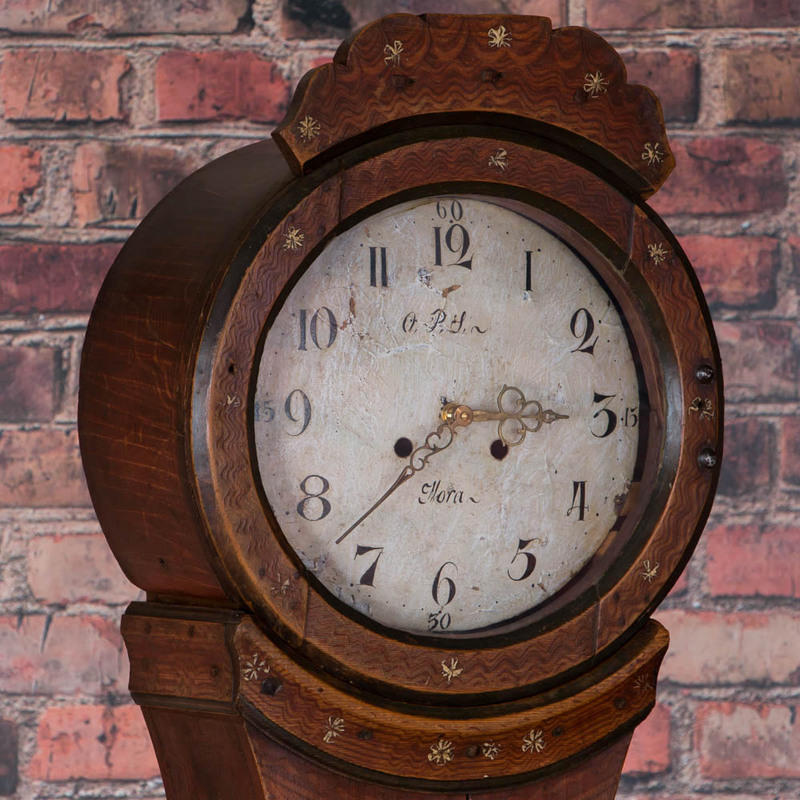 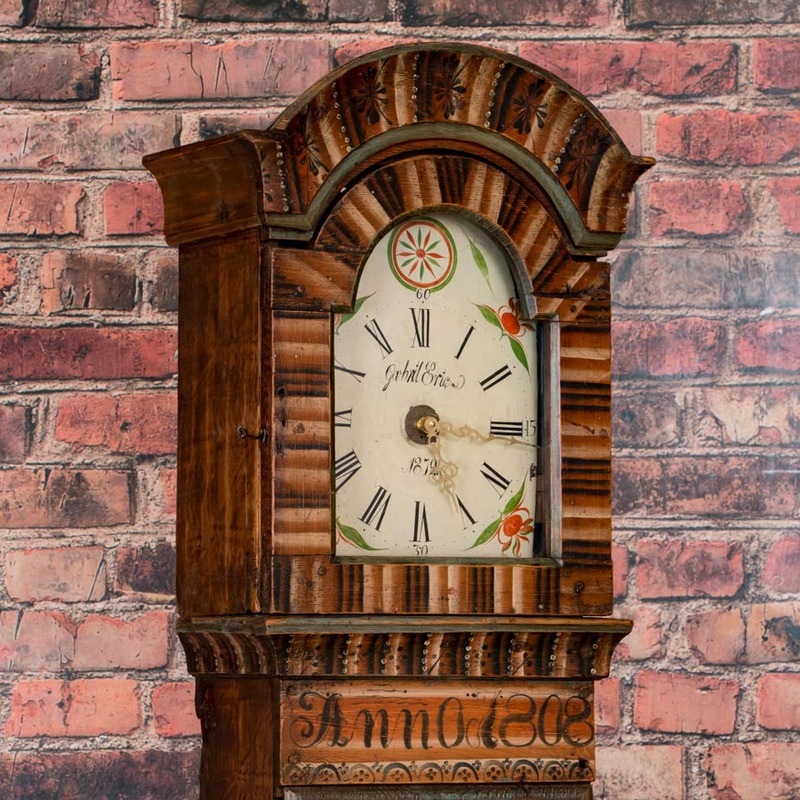 Graceful curves and remarkable craftsmanship accentuate this striking antique grandfather clock.The original clockworks can be restored or we will have a battery function installed for ease of use. 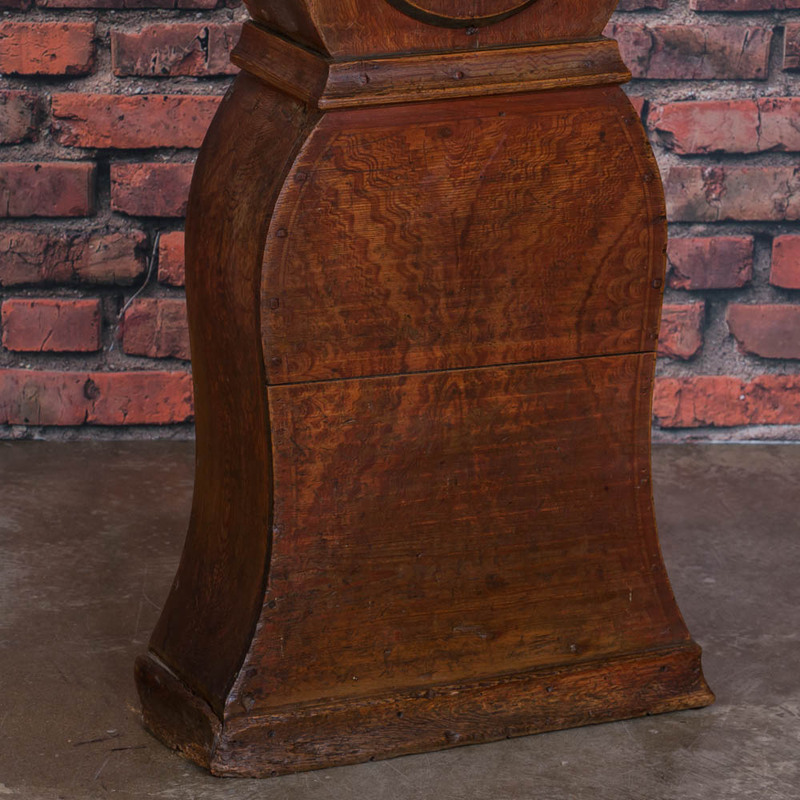 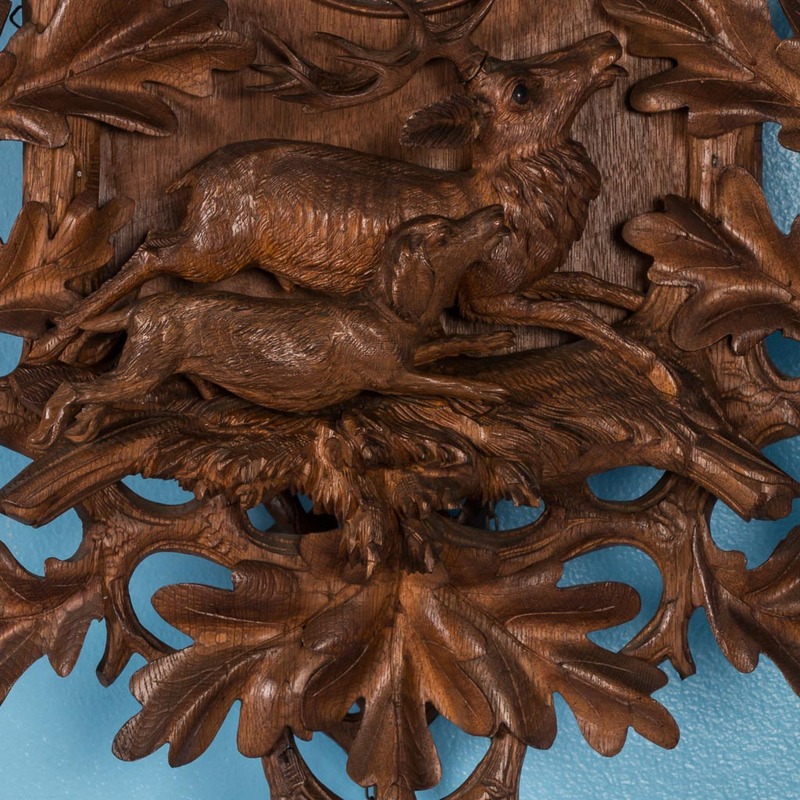 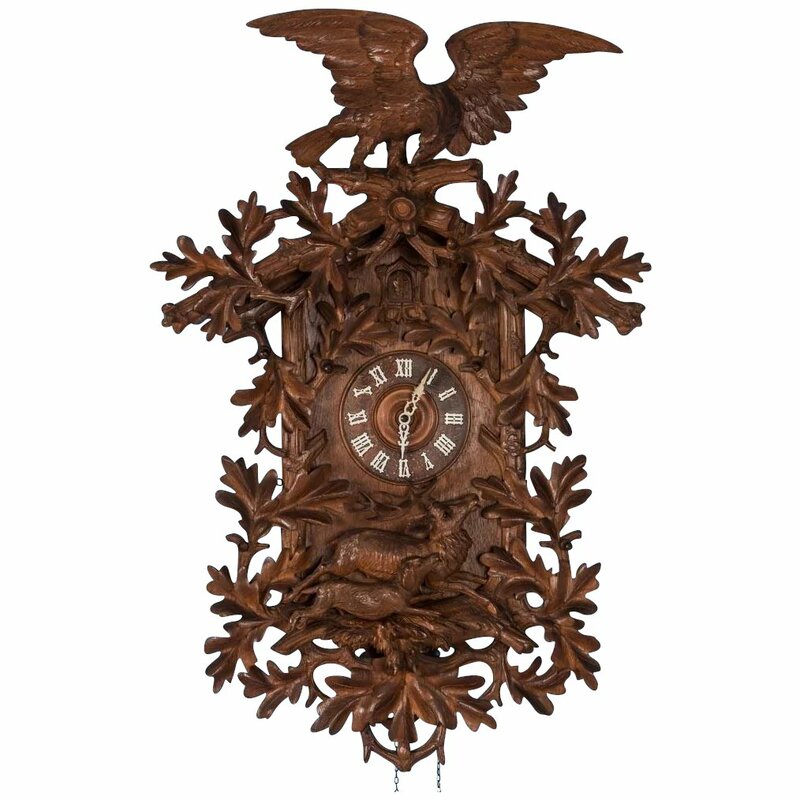 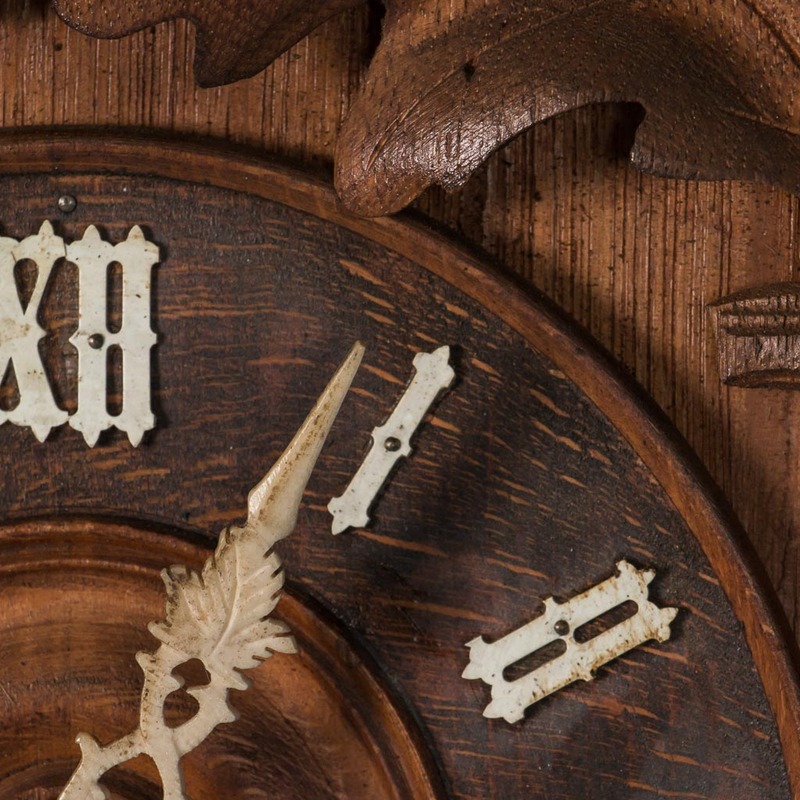 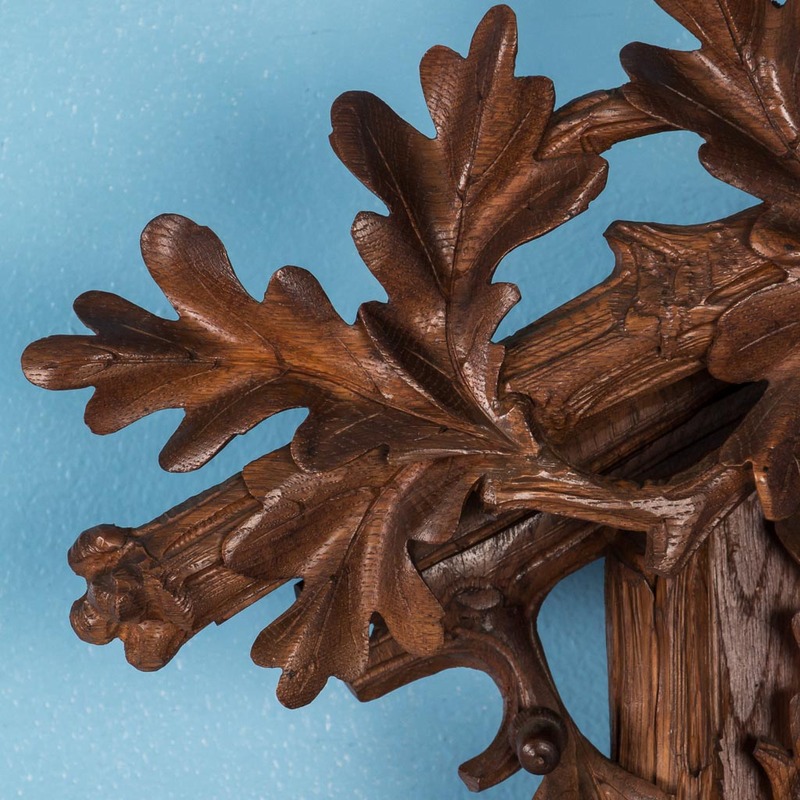 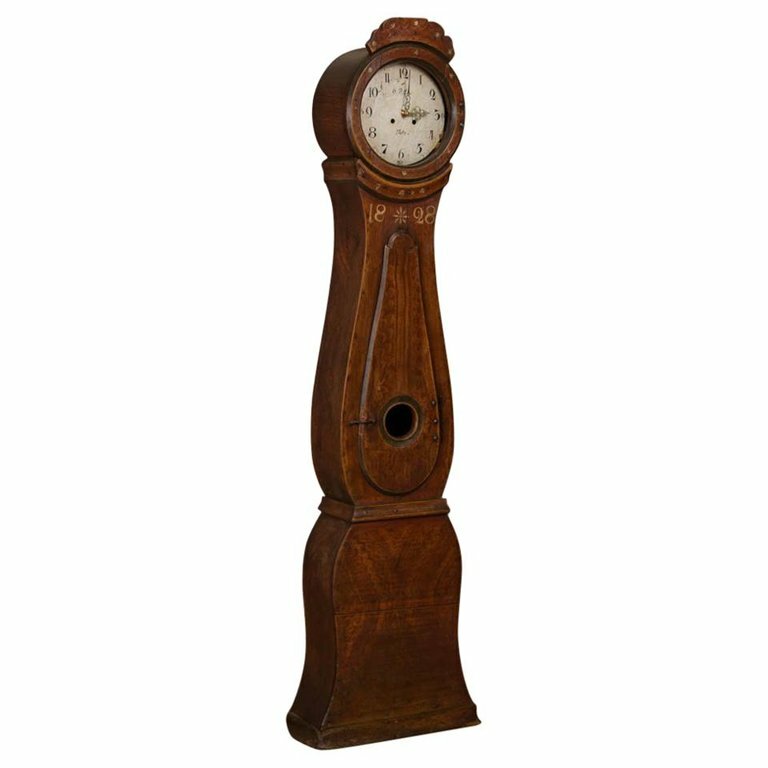 English oak tall case calendar clock circa 1840. 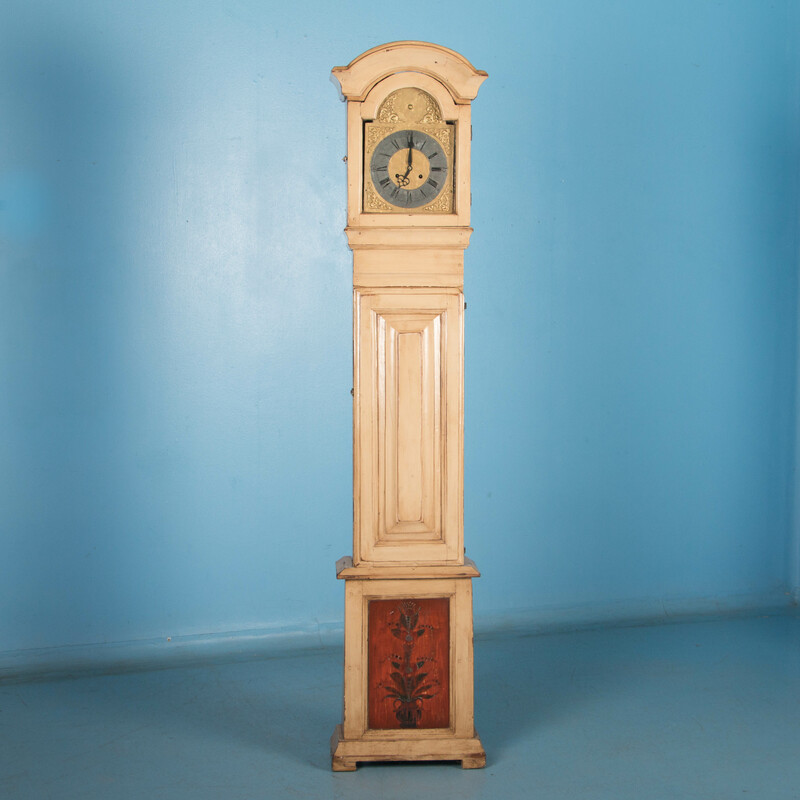 Antique Painted Danish Grandfather Clock. 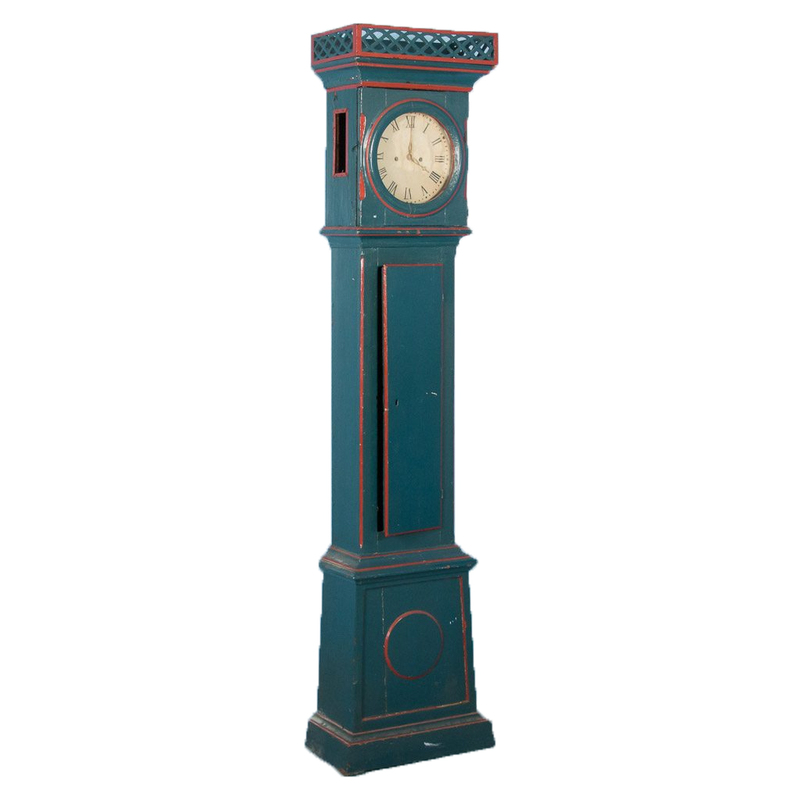 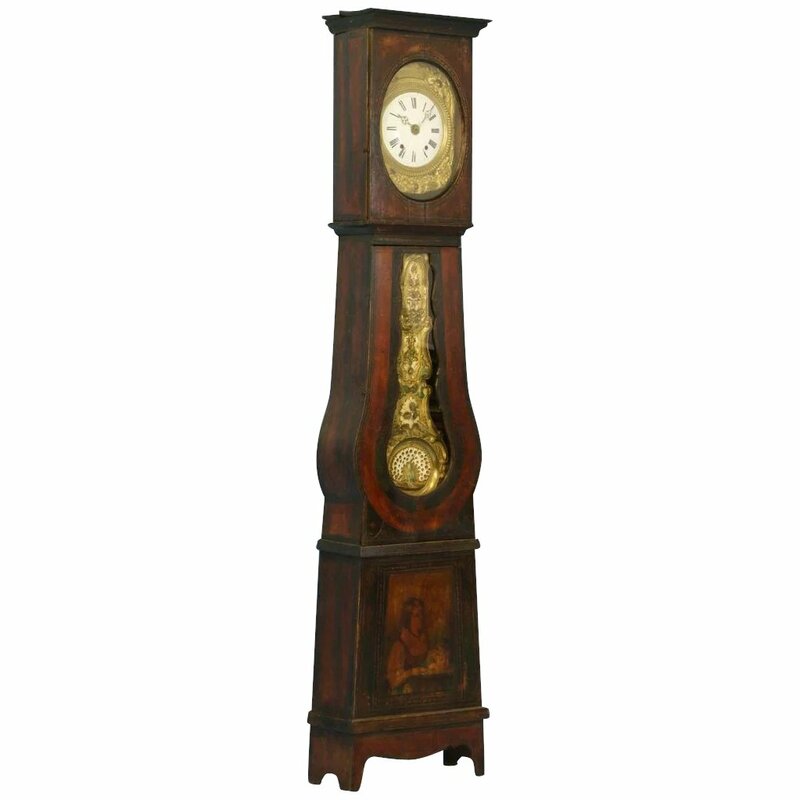 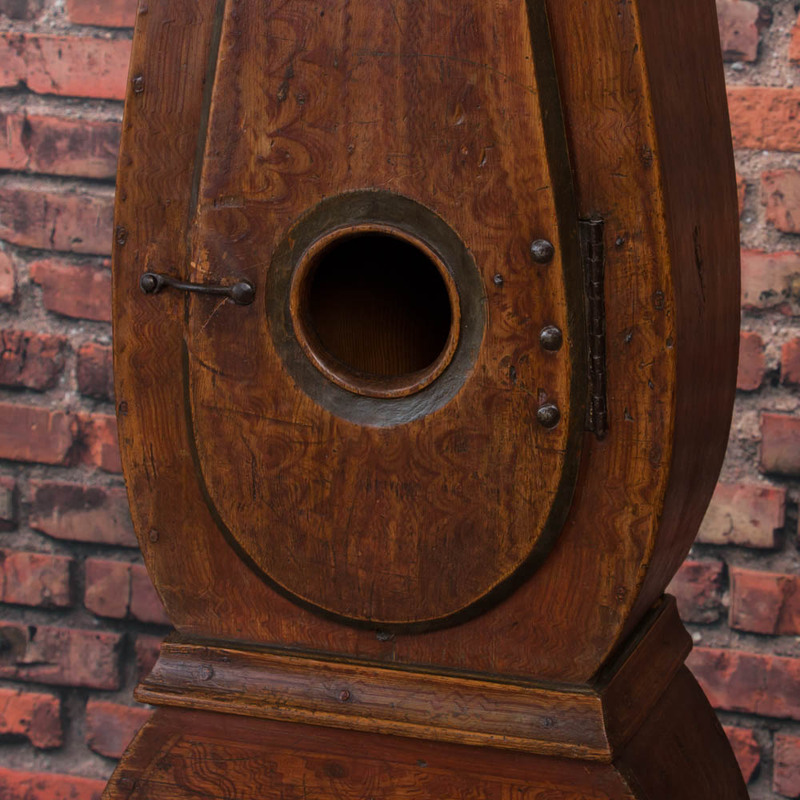 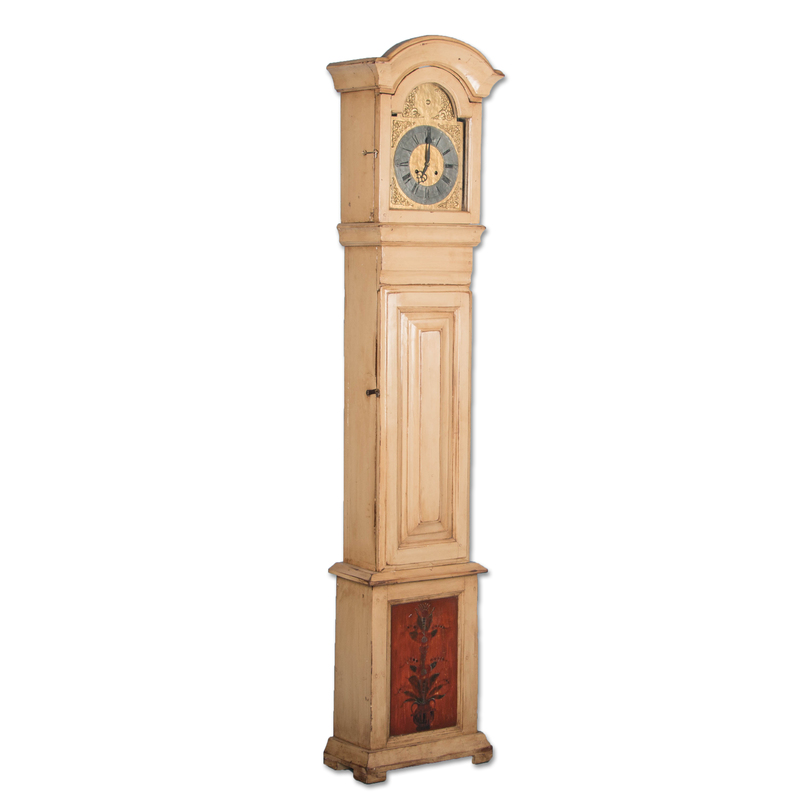 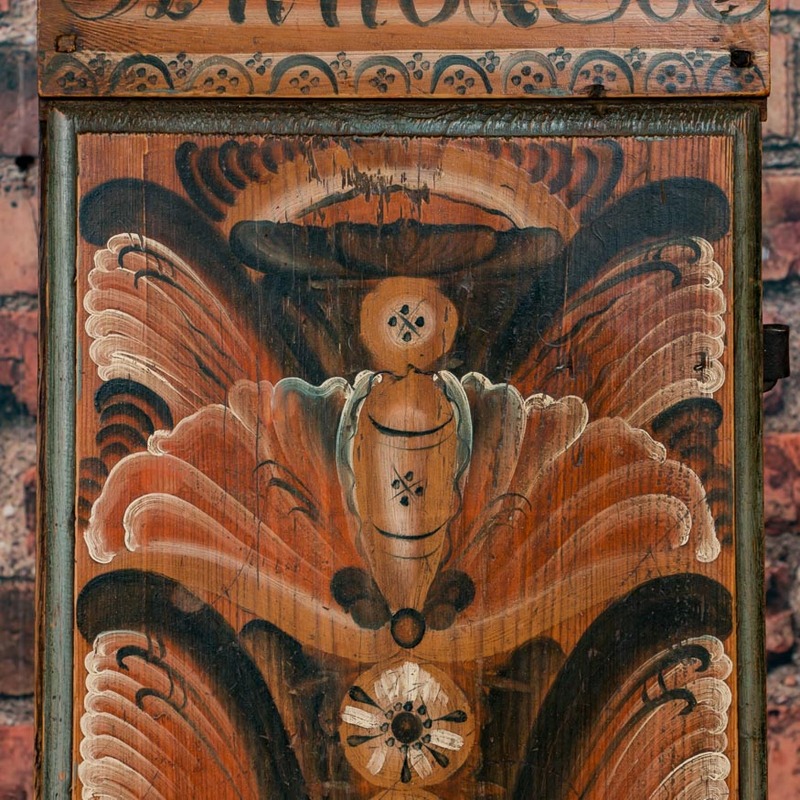 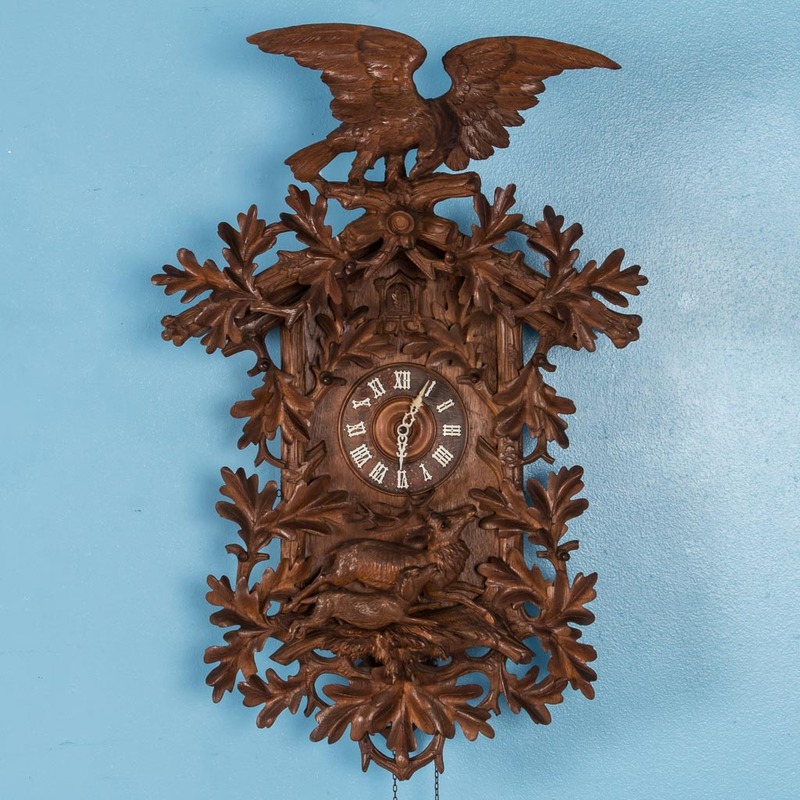 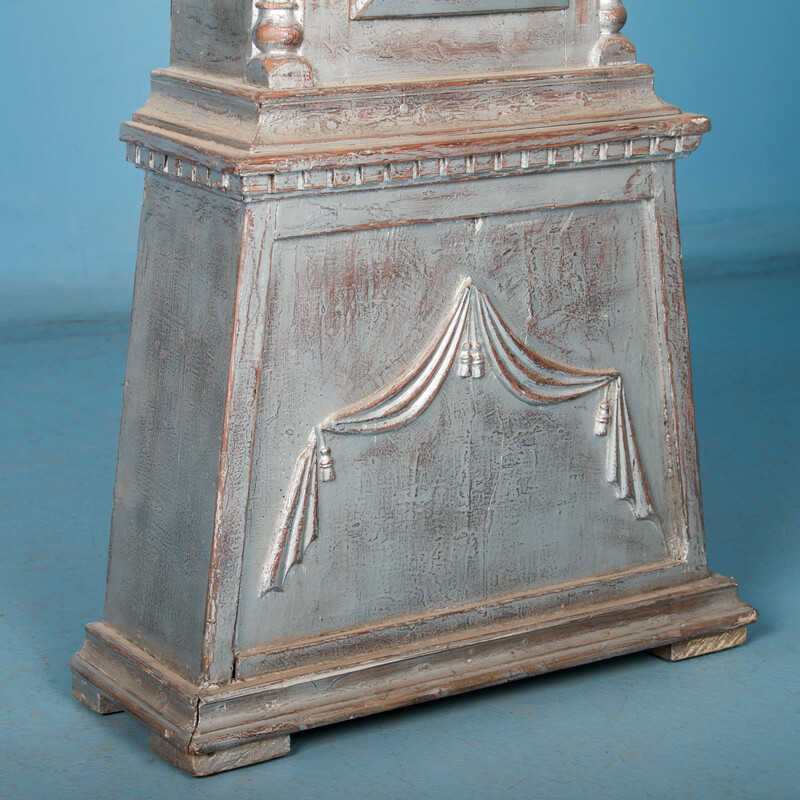 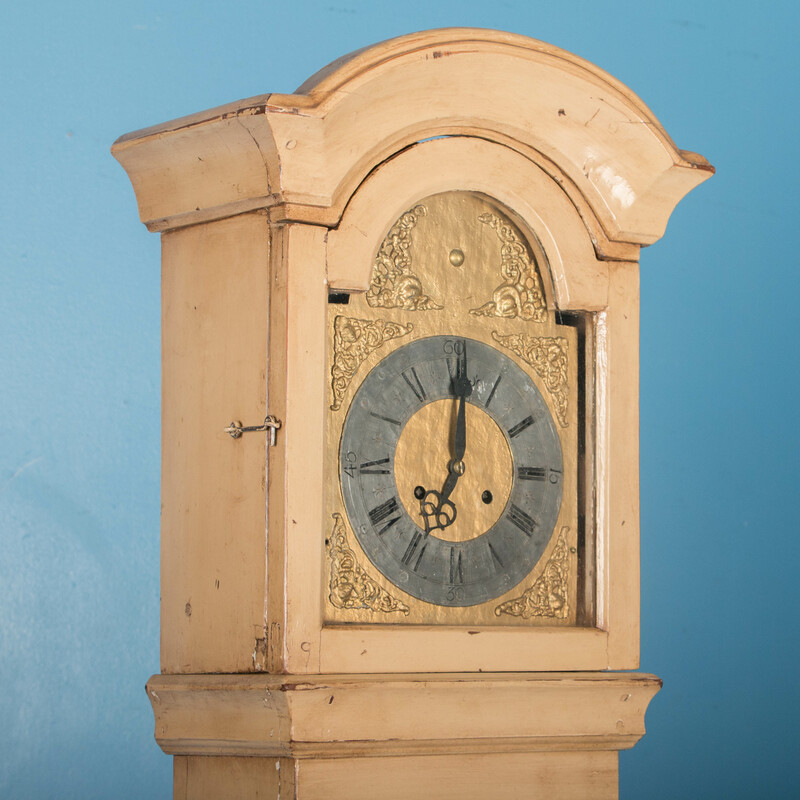 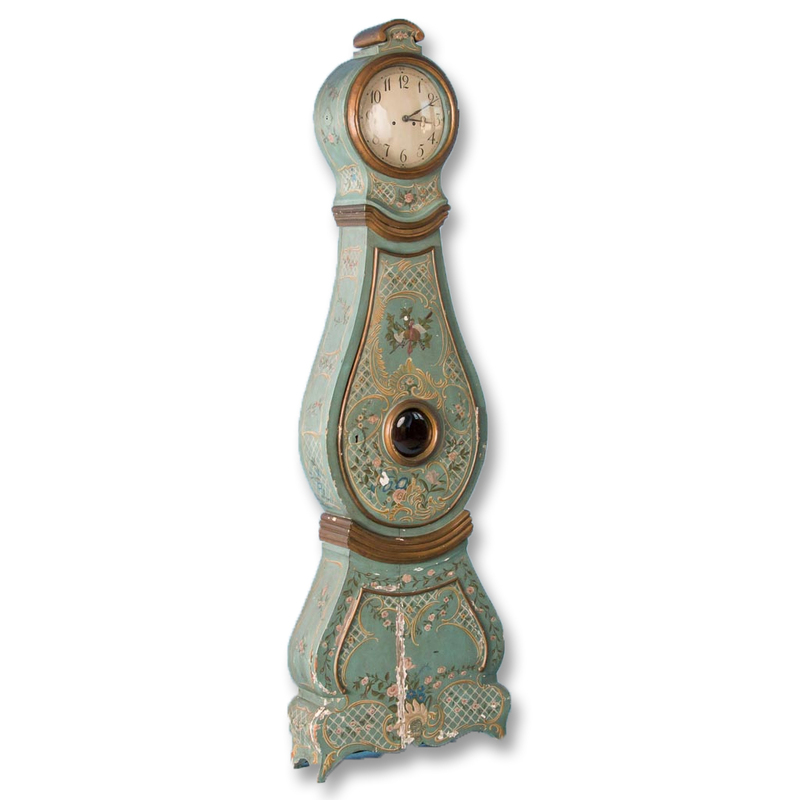 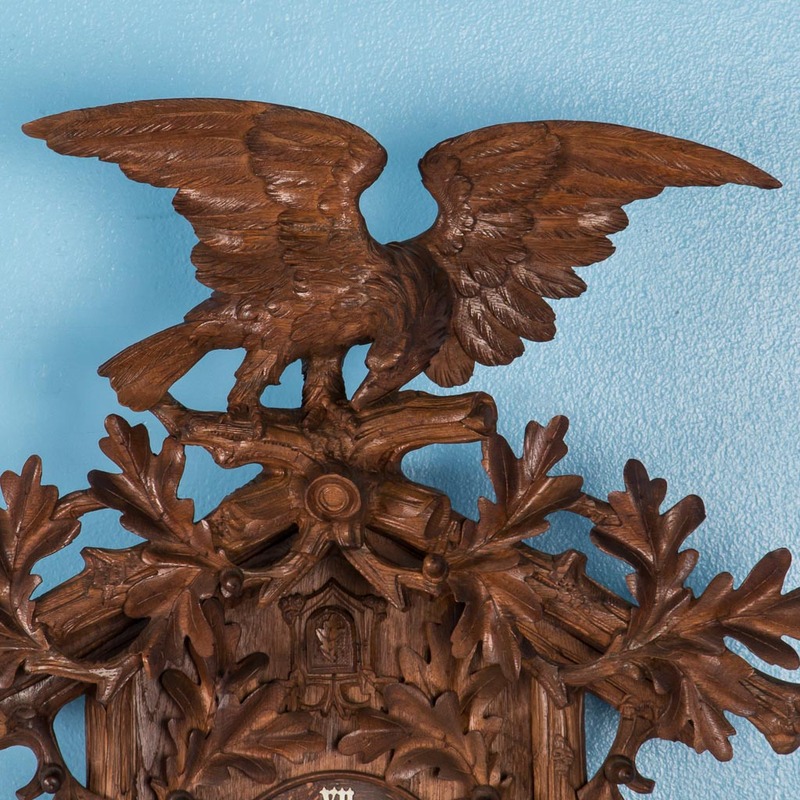 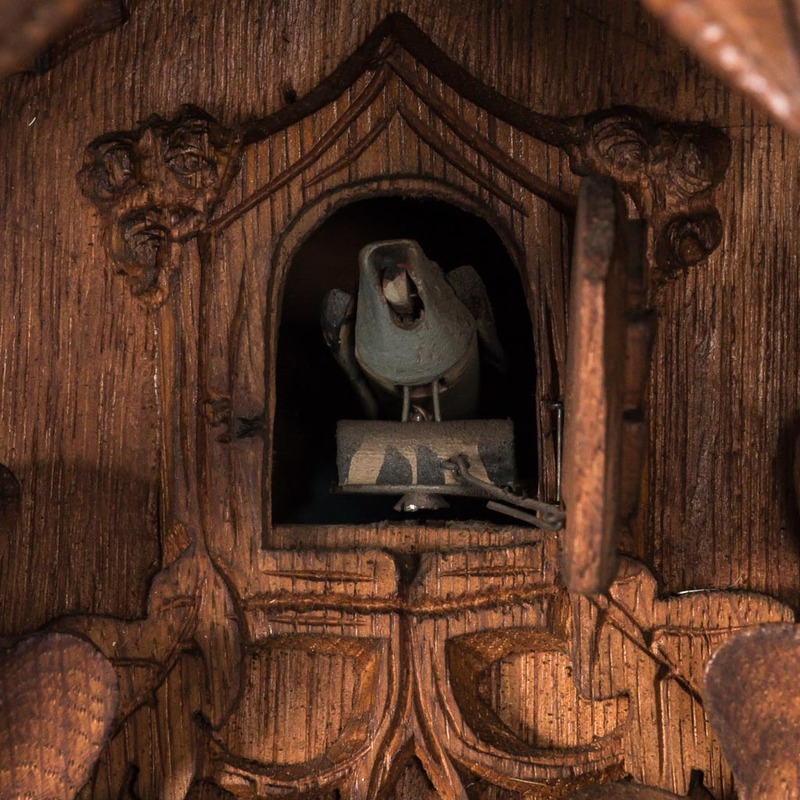 The case of this grandfather clock is mahogany with a painted face and brass finials. 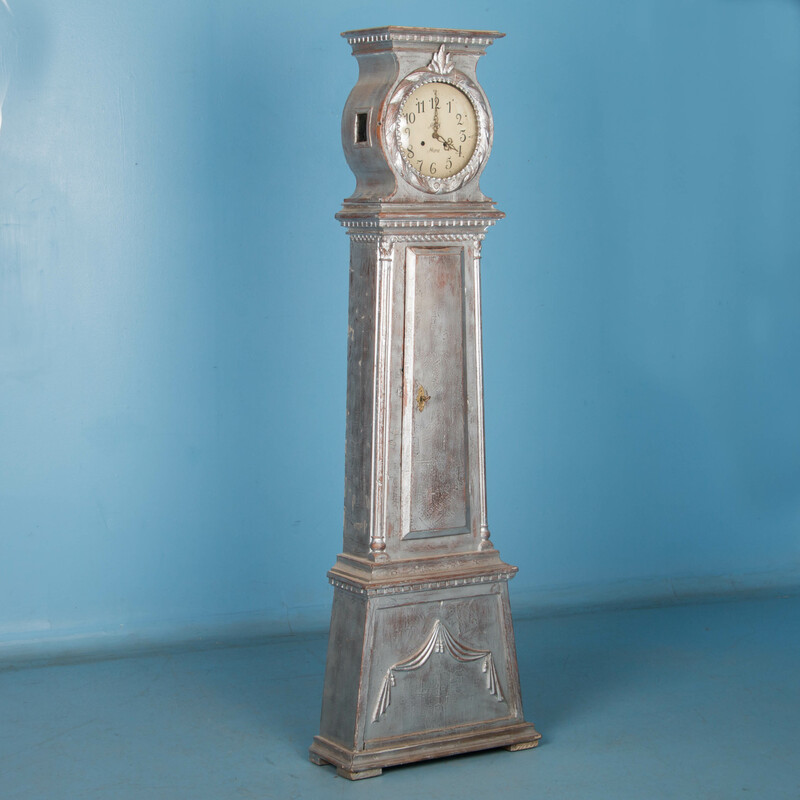 The original clockworks can be restored or we will have a battery function installed for ease of use.